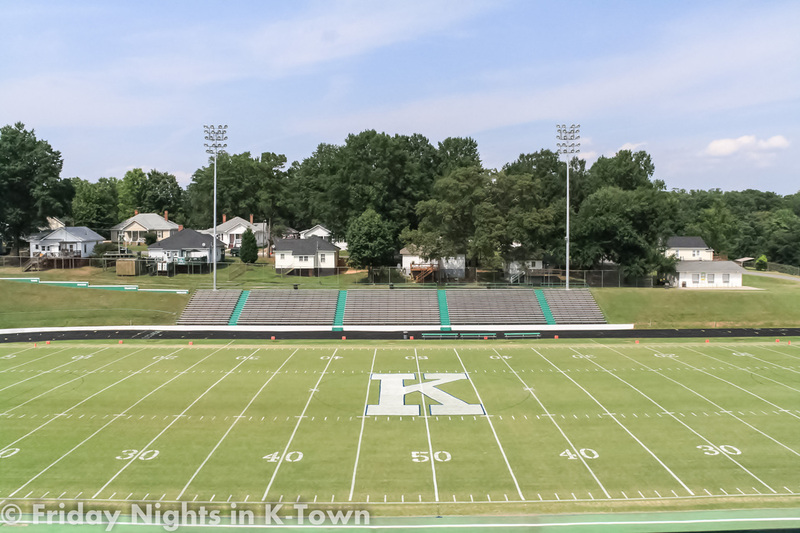 Kannapolis Memorial Stadium. 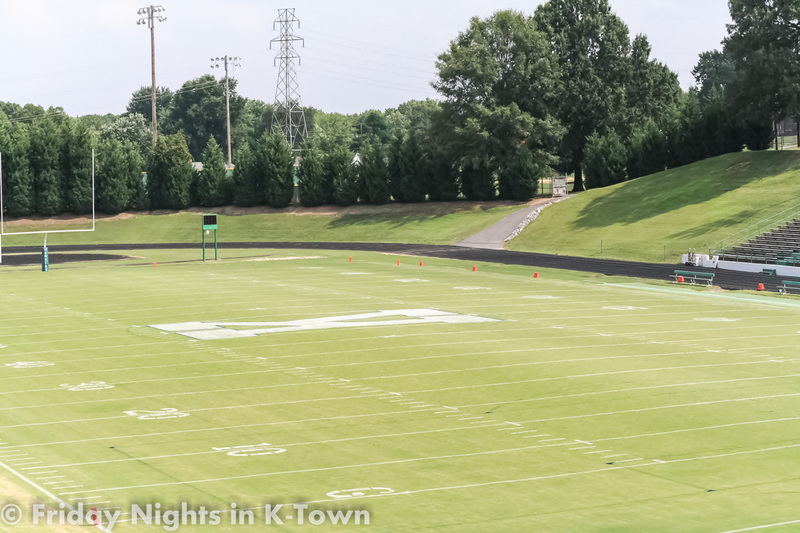 There is just Something about the very mention of this place that brings excitement to the heart, and pride to the soul. 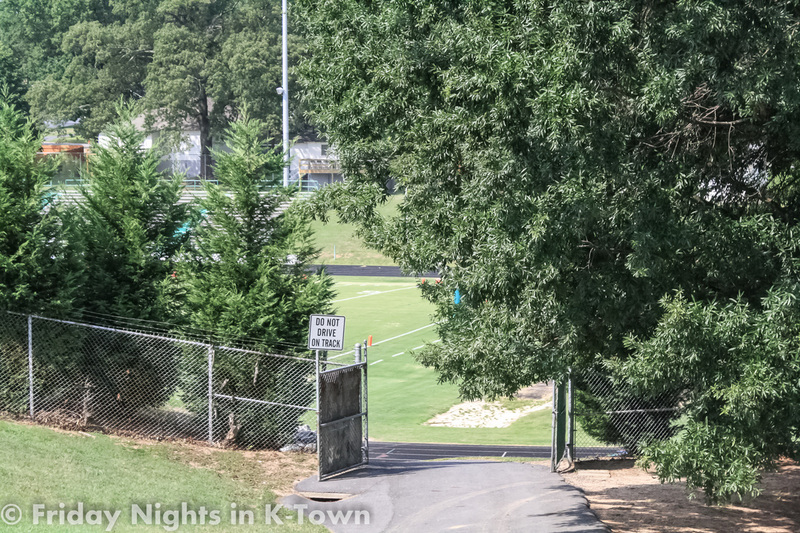 Many times I've walked into this shrine to high school football in Cabarrus County by myself, and stood silently reflecting. 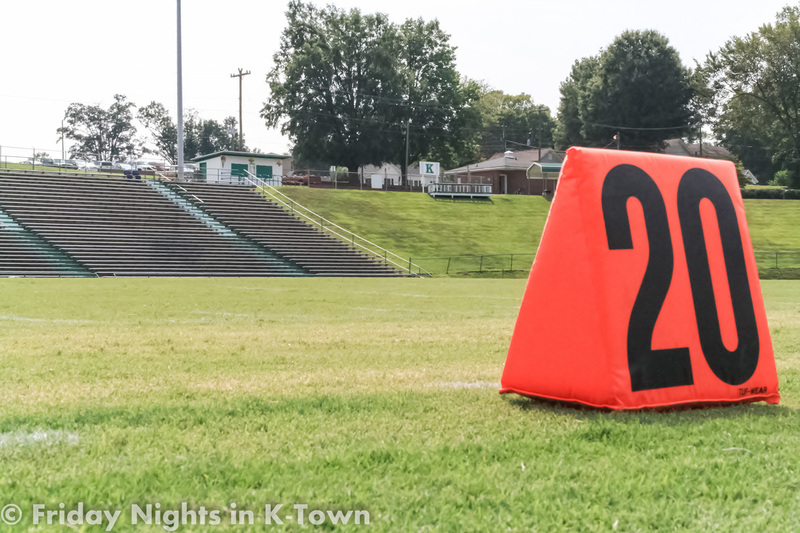 If I closed my eyes I could almost hear the roar of thousands of cheering fans, and the sounds of the marching band in my brain. 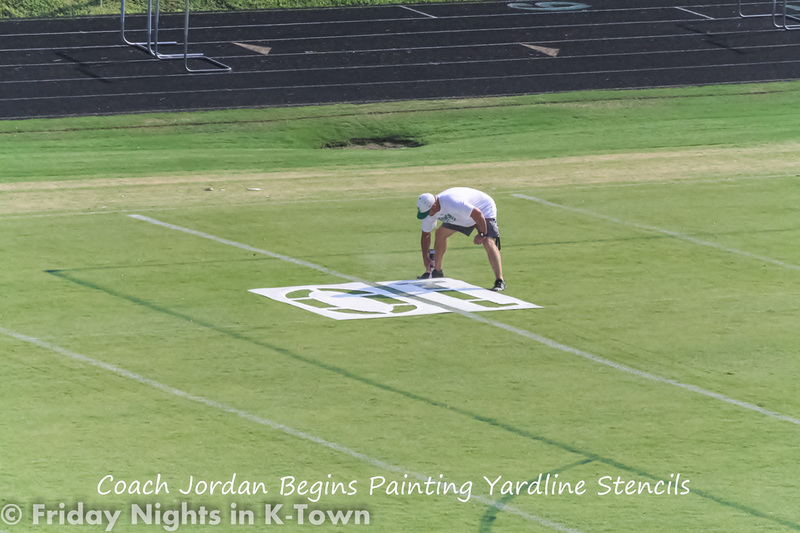 A piece of hallowed ground for many who have left blood, sweat, and tears on it's lush Green grass. 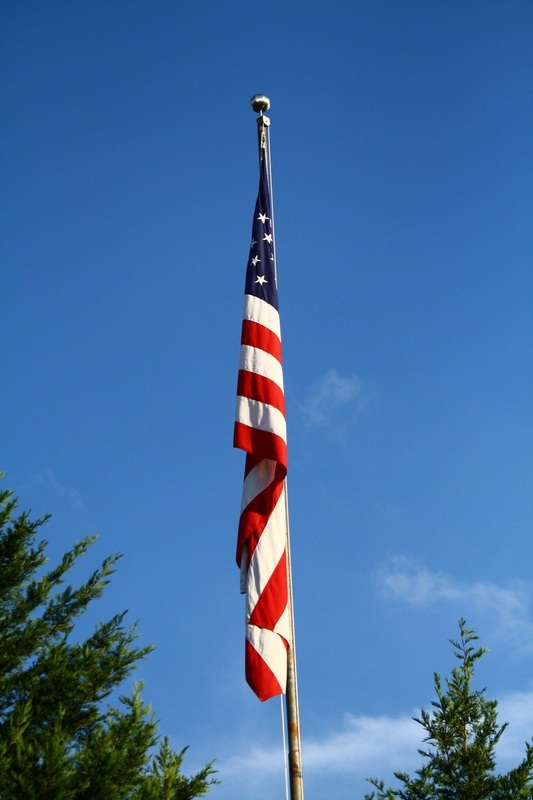 To stand in the middle of that field, and reflect on the triumphs, and tragedies that have all taken place upon this hallowed ground is almost overwhelming. 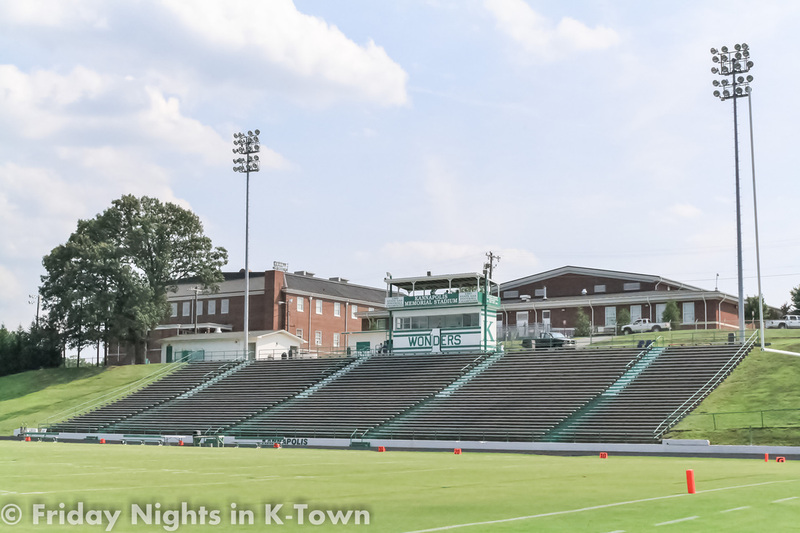 I've stood alone in the southeast end zone where Vernon Grier just missed the deflected pass that would have given the Wonders a chance to tie the battle for the bell game in 1974. 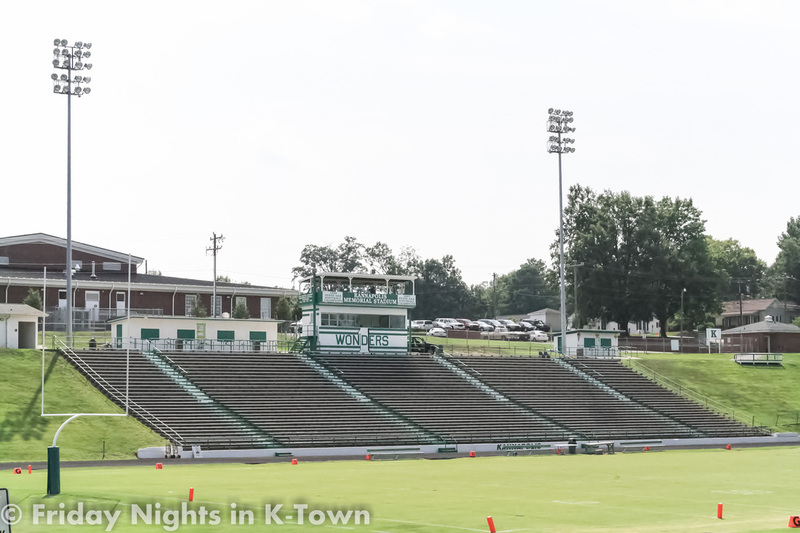 I've stood alone in the southwest corner of the end zone where Scott Jordan made history in 1990 with his amazing catch that beat Concord with no time remaining. 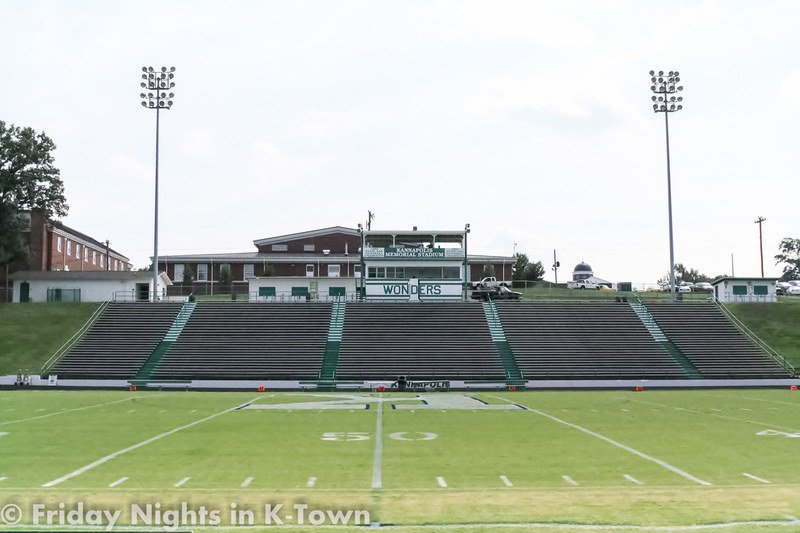 I've stood alone at the one yard line of the east end zone where Taurus Johnson was stopped just short of a two point conversion that would have tied North Rowan in 1992, and I've stood alone at midfield where countless exchanges of the victory bell have taken place. 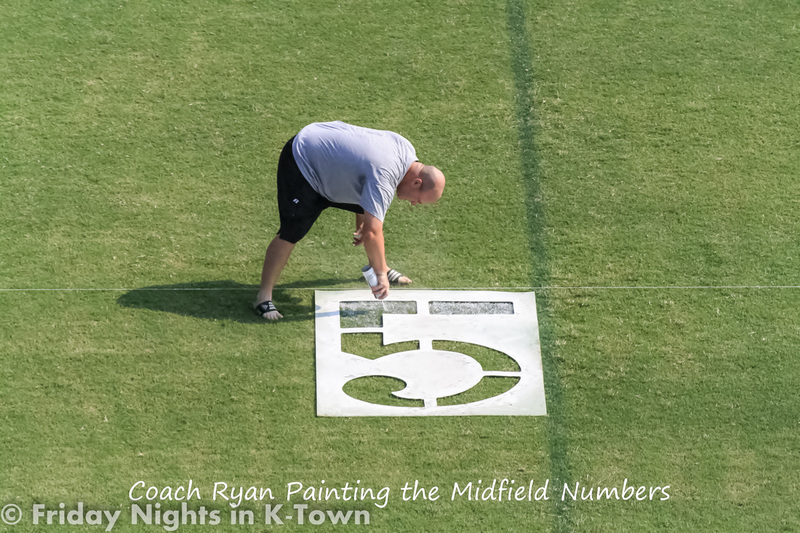 In short there are not too many places on that field you can't stand where some significant event didn't take place in Wonder football history throughout the fifty six years the stadium has been in existence. 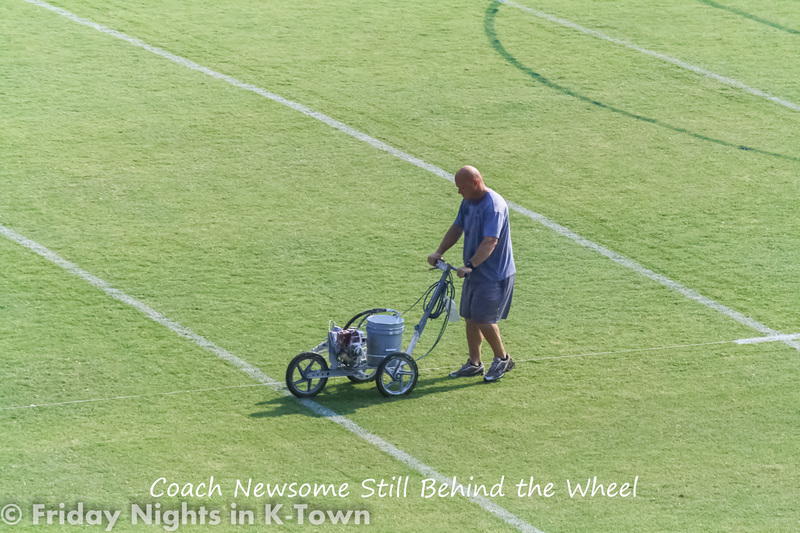 I asked one of the coaches years ago how they kept the field looking so green, and he told me it was due to good fertilizer, soil, and a dedicated maintenance crew, but I have another theory. 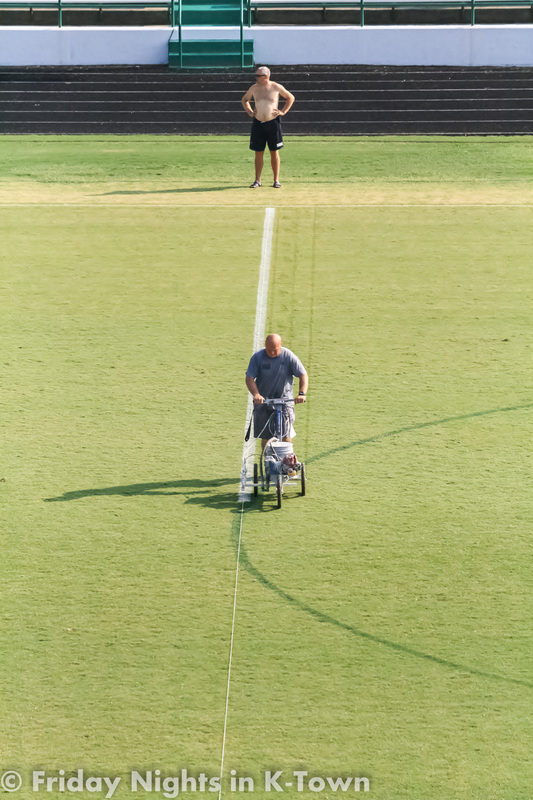 I believe it's due to the above mentioned Blood, Sweat, and Tears that have fallen to the ground from the countless young Wonders who have competed on that field over the course of time, and whose ghosts still reside between the home and vistor stands. 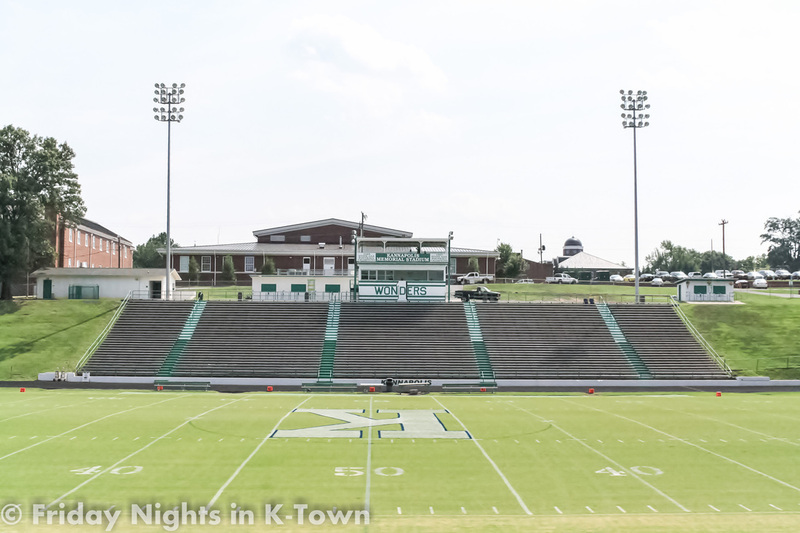 To stand in the middle of that field and take all this history in gives you a deeper appreciation of the place we call home. 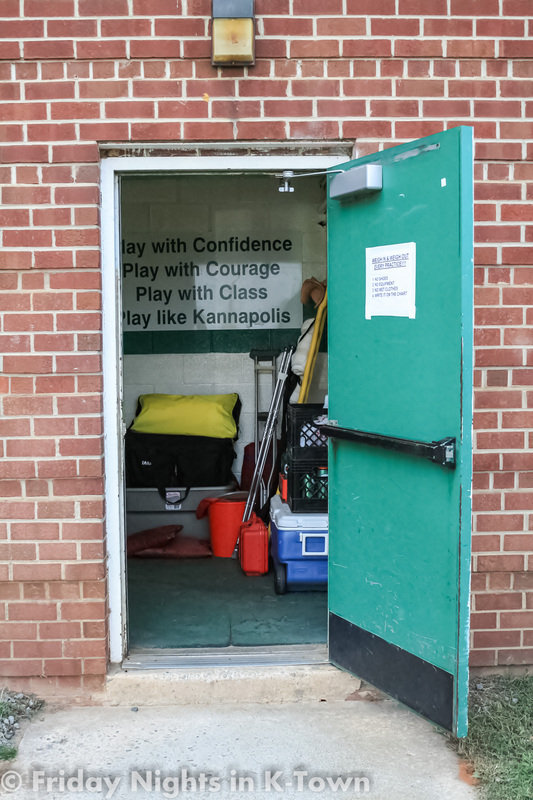 Indeed Kannapolis Memorial Stadium is a special place. 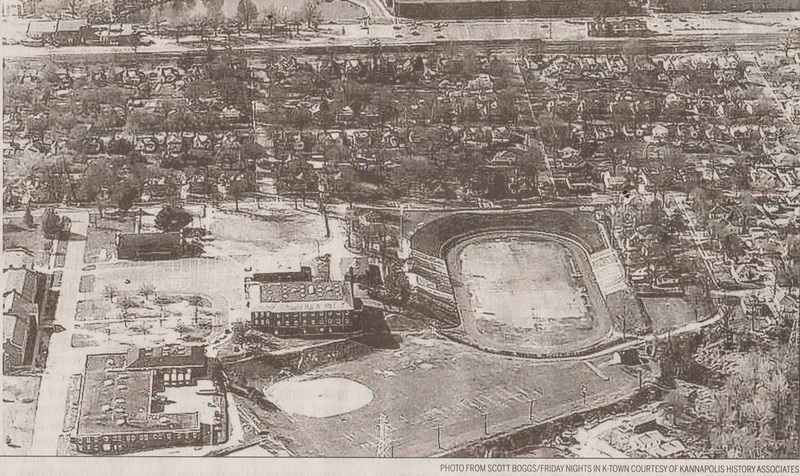 Construction on the stadium began in early 1958 and cost $96,000.00 to build. 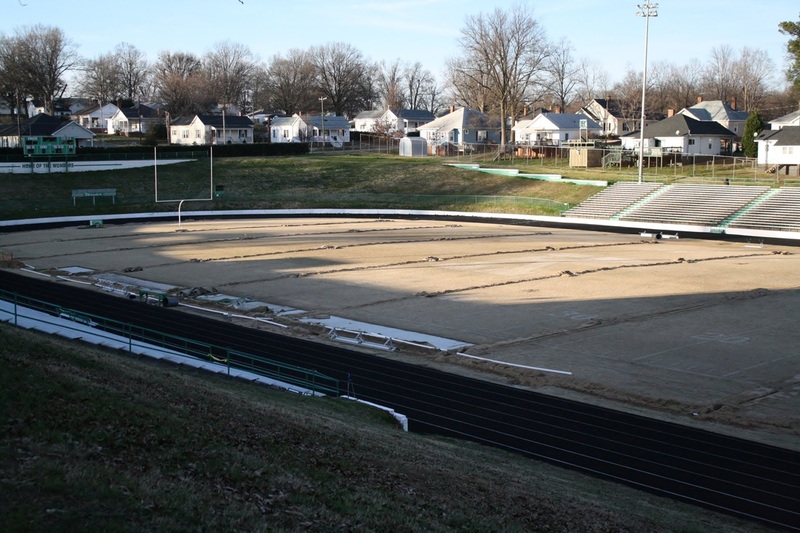 The stadium was designed in a natural bowl layout with an all natural grass playing surface. 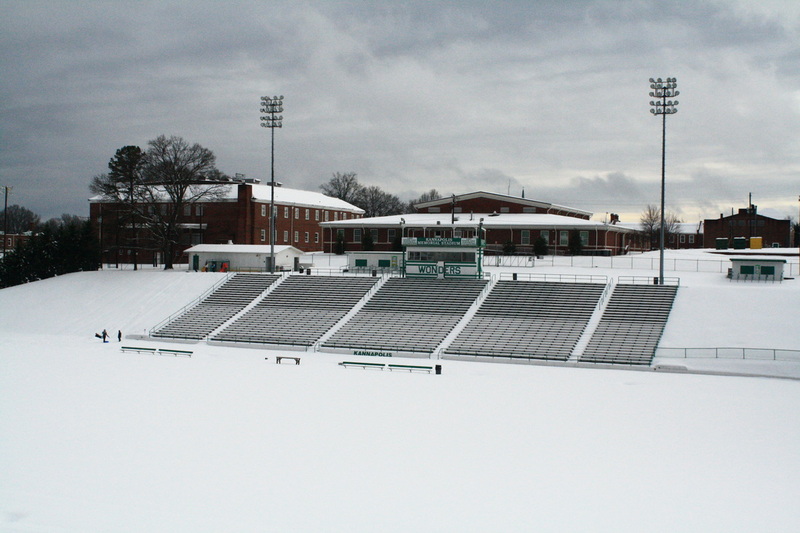 The South home side was designed to accommodate 4000 spectators while the North visitor side was designed to hold an additional 2000 spectators. 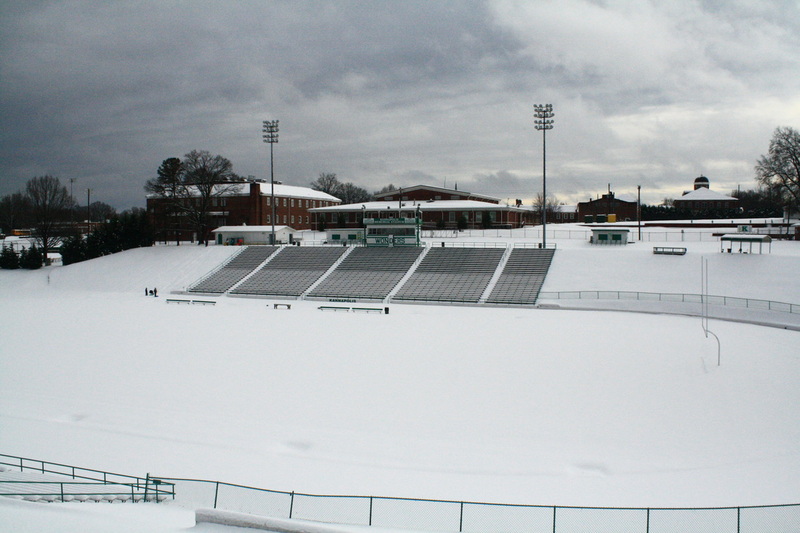 The stadium was designed to hold a maximum capacity of fifteen thousand spectators by enclosing the West endzone bank. 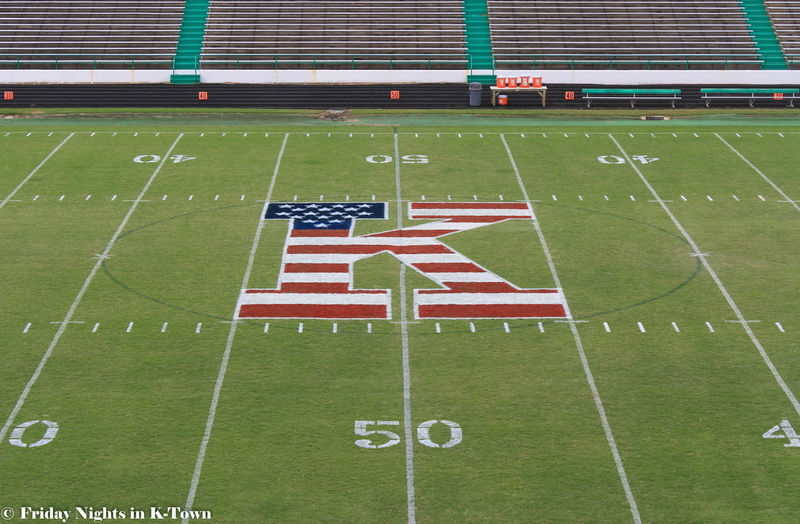 Kannapolis Memorial Stadium officially opened for play on September 5, 1958, and was dedicated to the countless heroes from our community who sacrificed their lives in defense of our country. 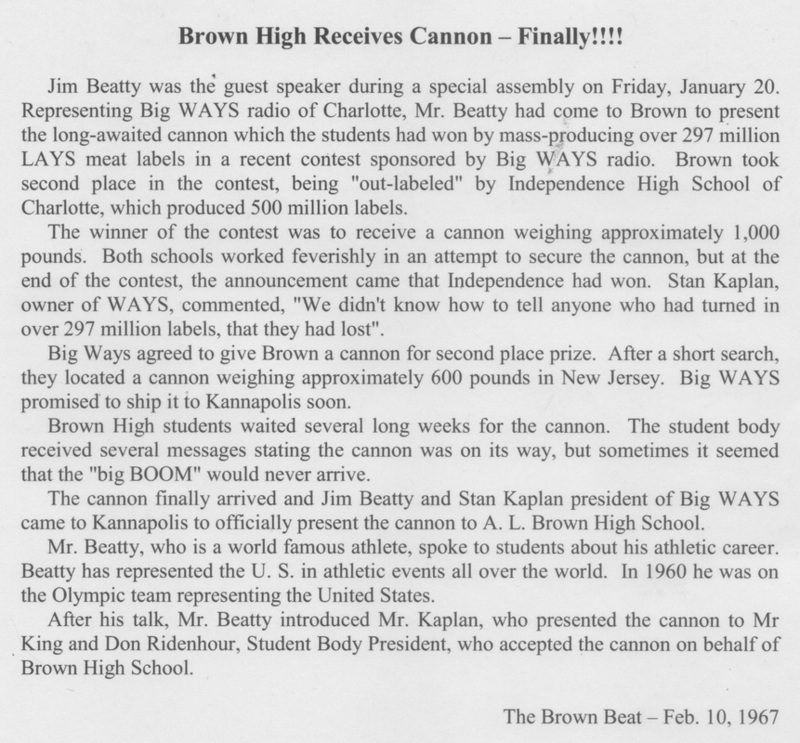 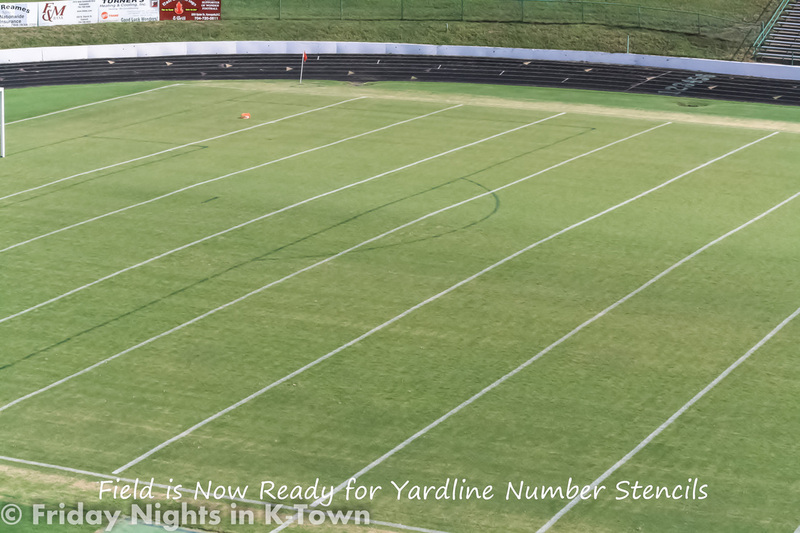 That night 4800 fans watched the Wonders host the Boyden Yellow Jackets who would later become the Salisbury Hornets for its inaugural game. 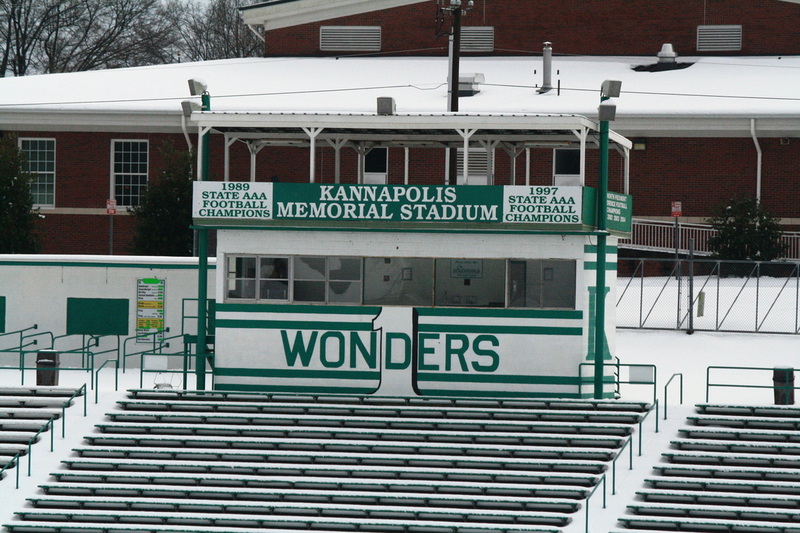 The Wonders dropped that game 20-7 to the Yellow Jackets, but Kannapolis Memorial Stadium had been officially christened. 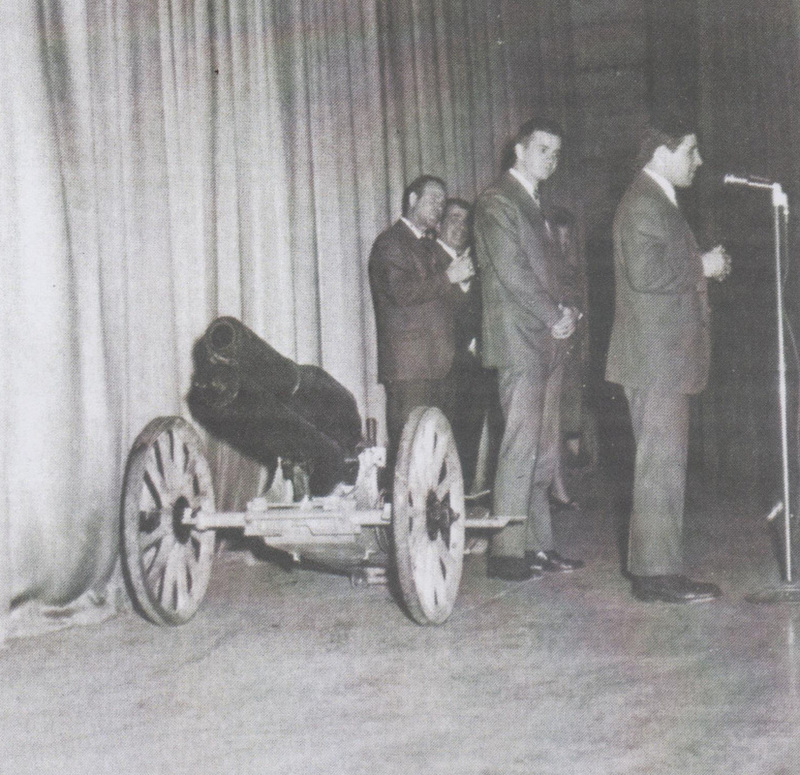 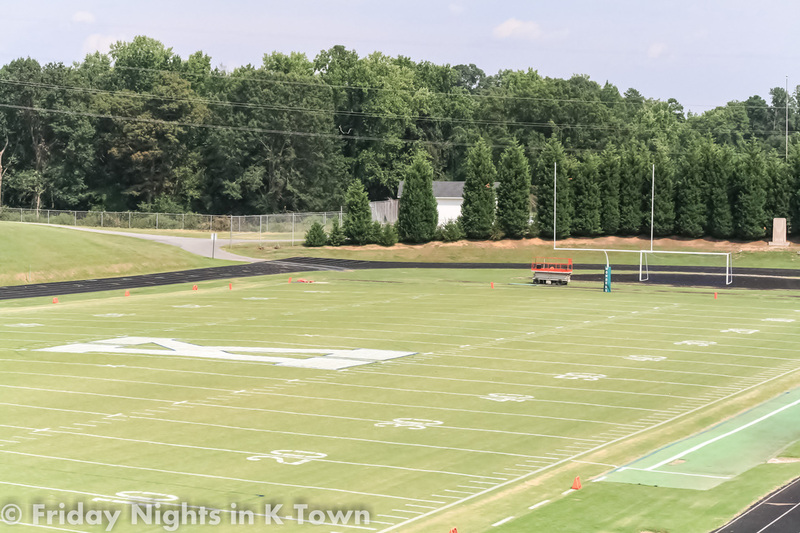 Later in the week on September 12, 1958 the stadium was officially dedicated during a special ceremony at the stadium, afterwards the Wonders would take on the Albemarle Bulldogs as it's official dedication contest. 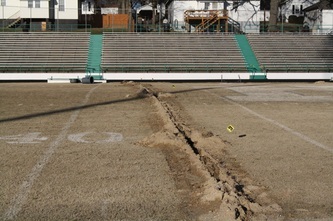 The Wonders would drop their dedication game to the Bulldogs 14-6. 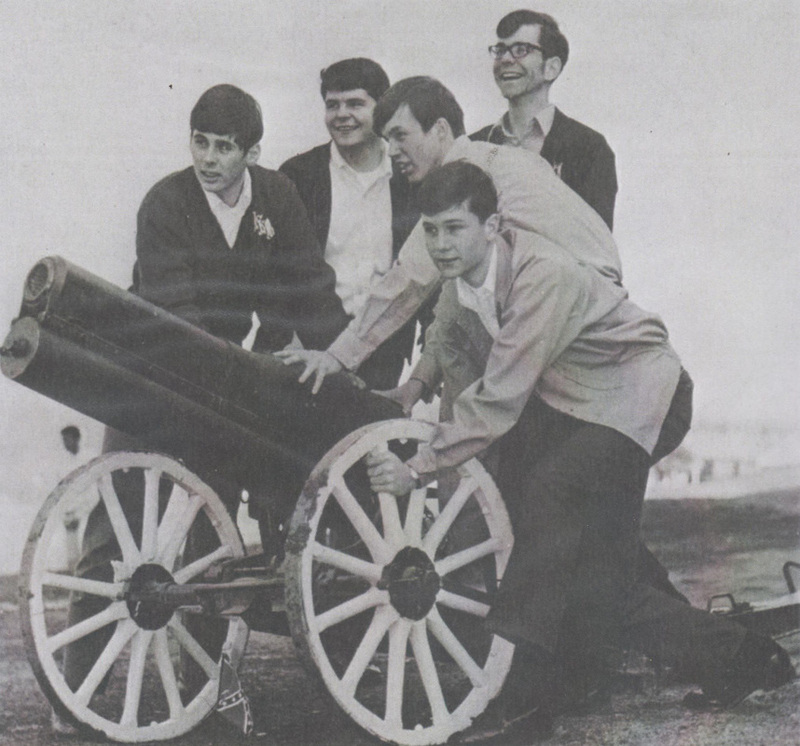 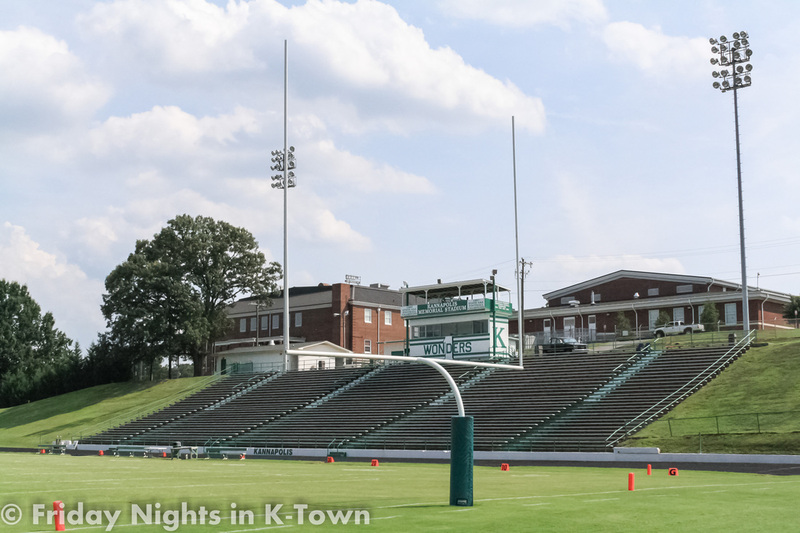 In 1959 members of the American Legion Beaver-Pittman post 115 of Kannapolis erected a monument which sits proudly in the East endzone of Kannapolis Memorial Stadium in memory of the many veterans from our community who gave their lives in service of our county. 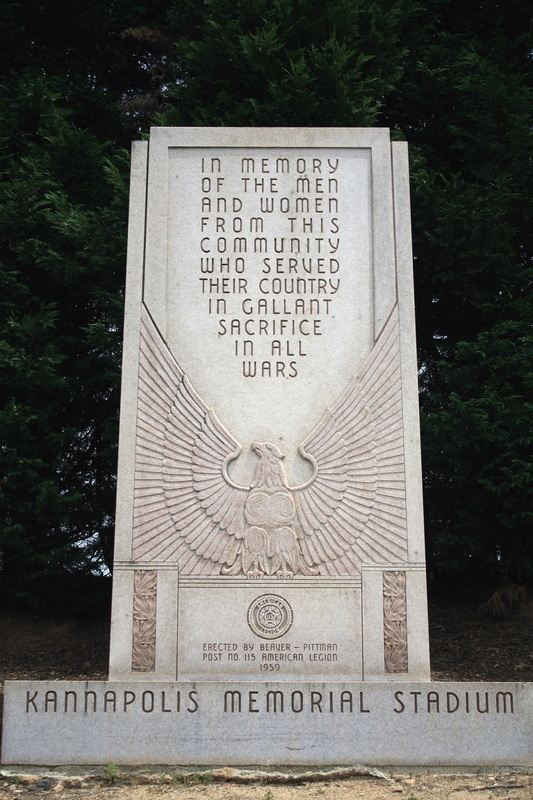 The inscription on the monument reads as follows. 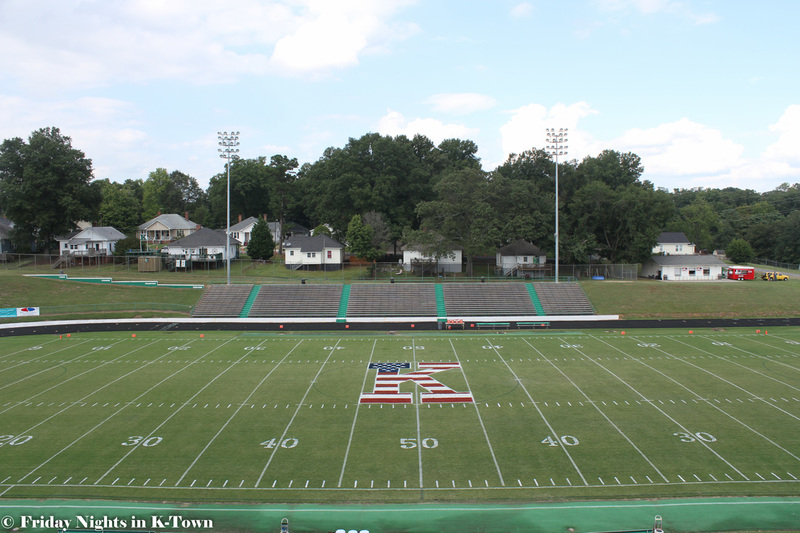 "In memory of the men and women from this community who served their country in gallant sacrifice in all wars"
"East Endzone Memorial Monument and Flag"
"The Kannapolis Memorial Stadium Cannon"
One of the more iconic symbols at Kannapolis Memorial Stadium without question is the cannon which resides in the West end zone of the stadium. 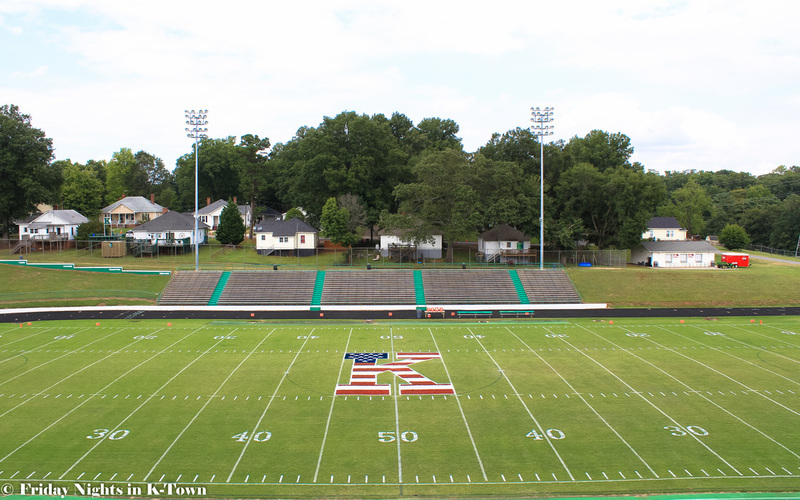 It is certainly the loudest. 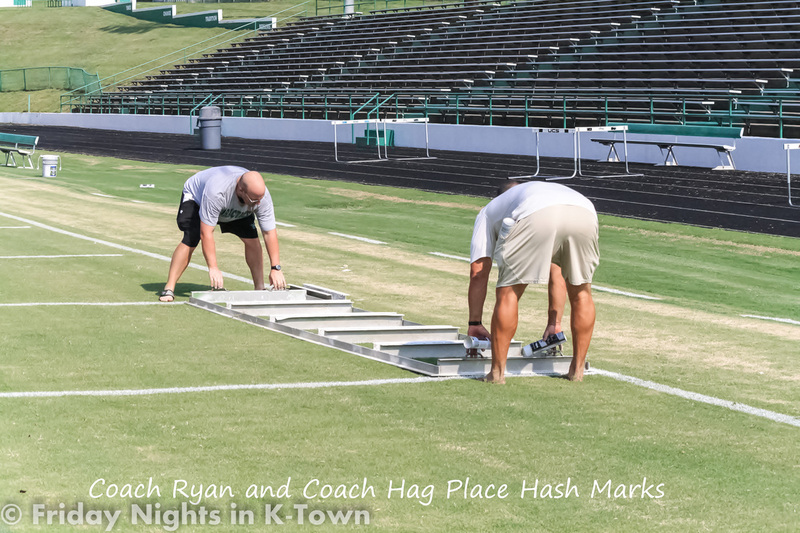 To keep Kannapolis Memorial Stadium looking first class takes lots of hard work, man hours, materials, and funds to supply those materials. 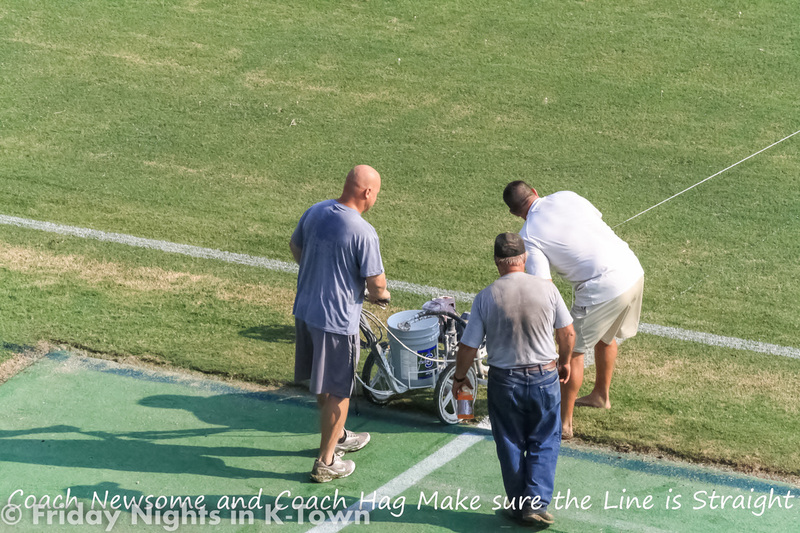 Fans coming into Memorial Stadium, and visitors alike get the pleasure of seeing the finished product in all its glory on game night, but many are oblivious to the work that goes on behind the scenes before fans ever purchase their tickets. 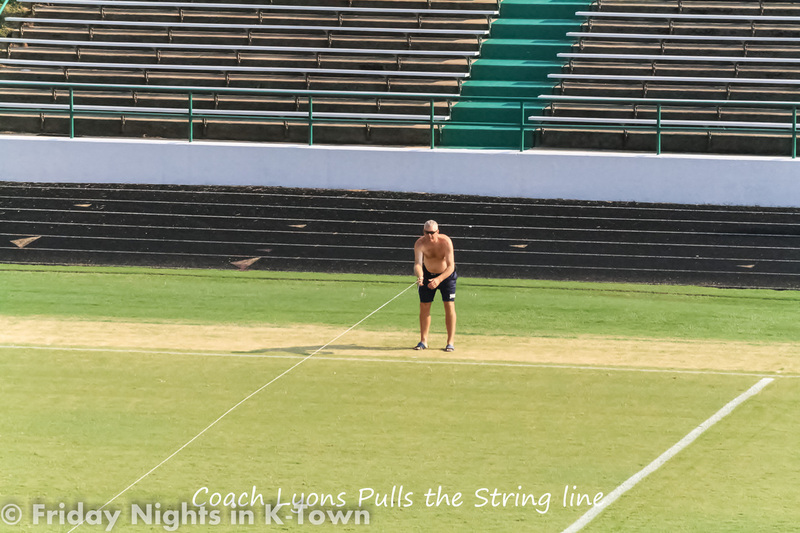 I woke up early one morning on the week of the Wonders opening game with Shelby in 2011 to capture this pictorial documentary below. 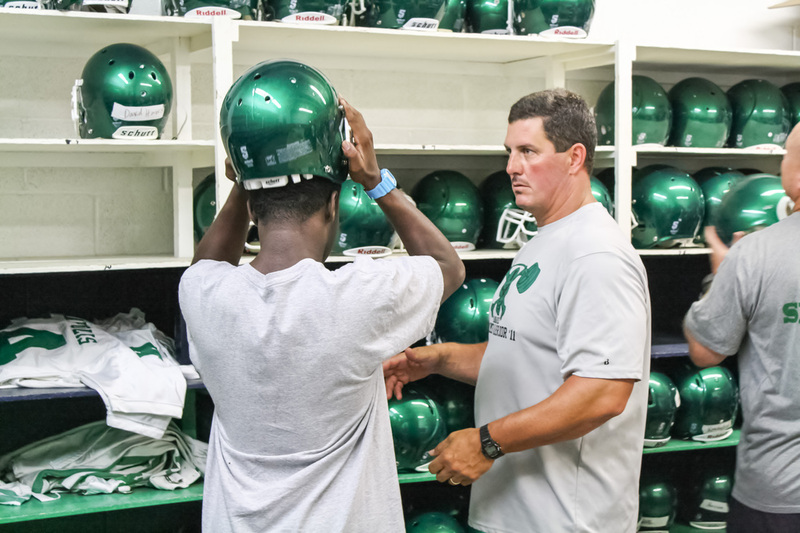 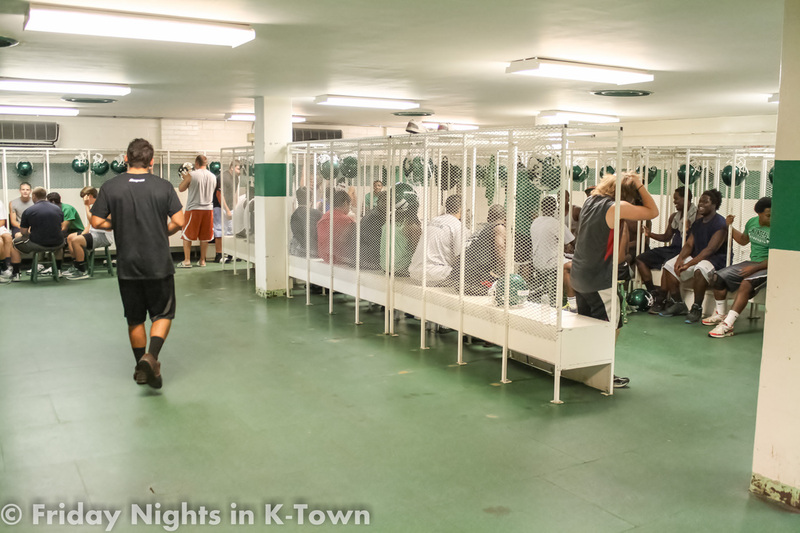 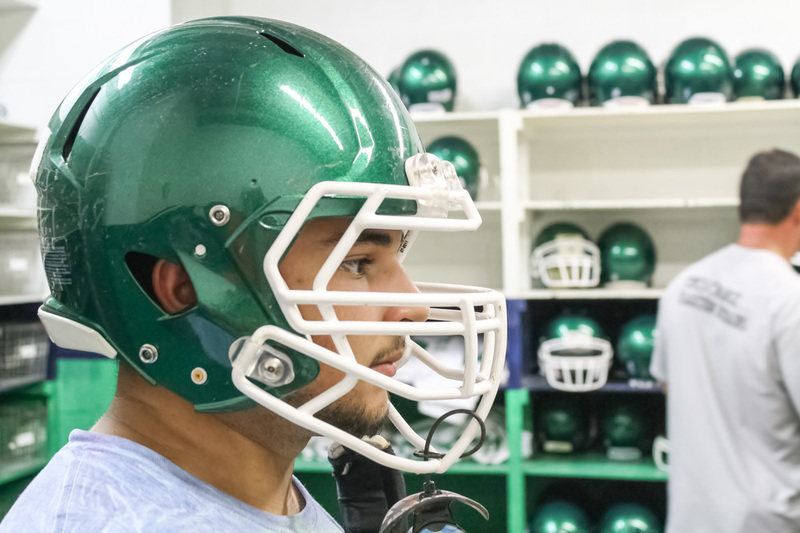 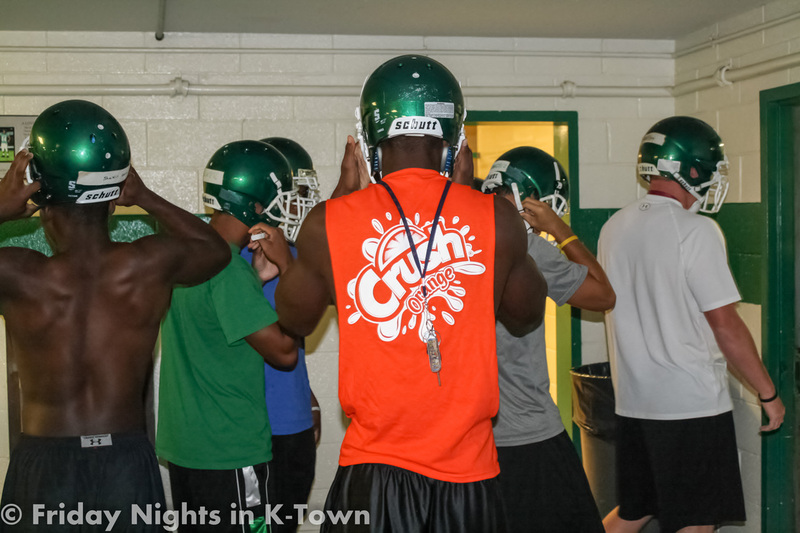 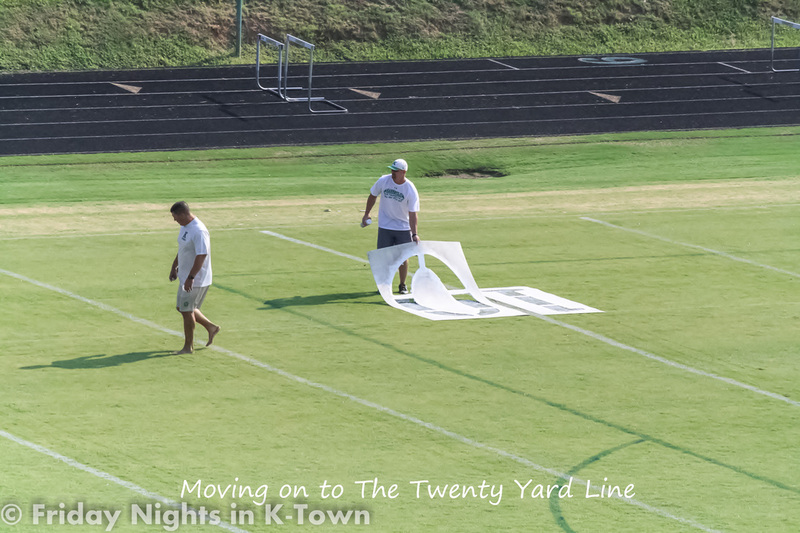 Here is a sneak look behind the scenes into some of the toils that go into developing the field into what we all see every week on Friday Nights in K-Town. 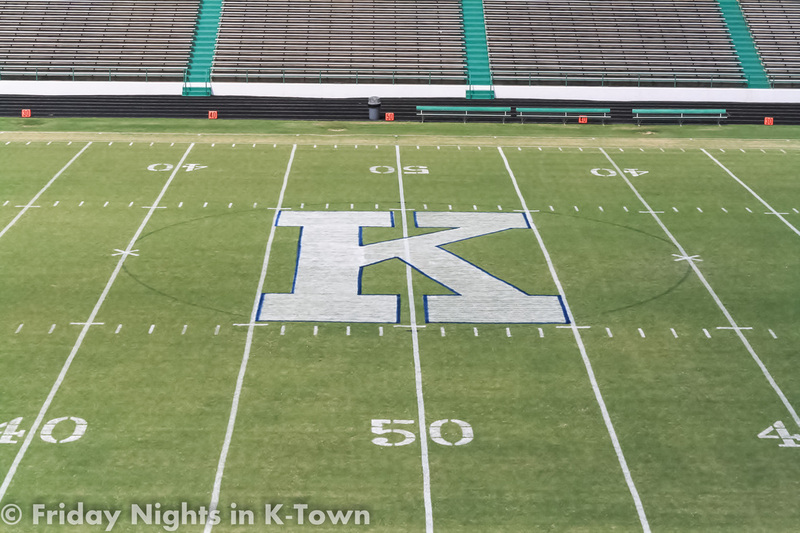 Nothing looks better than that big block "K" outlined in blue in the middle of the field at Kannapolis Memorial Stadium. 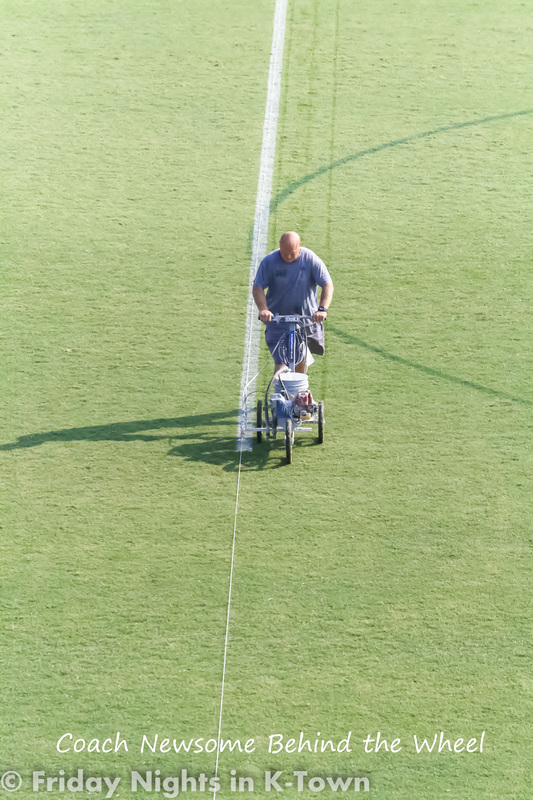 Its the stamp of approval for Wonder fans. 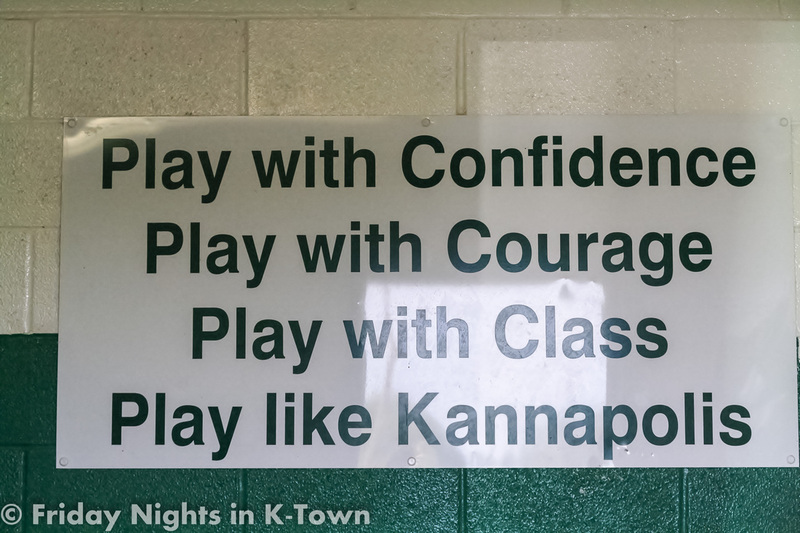 Well, there you have it. 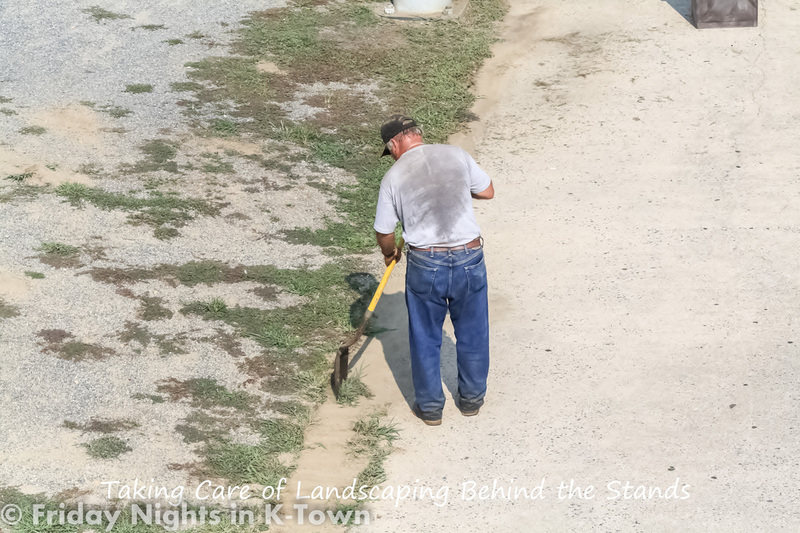 a look into what it takes to make our house the showplace it has become. 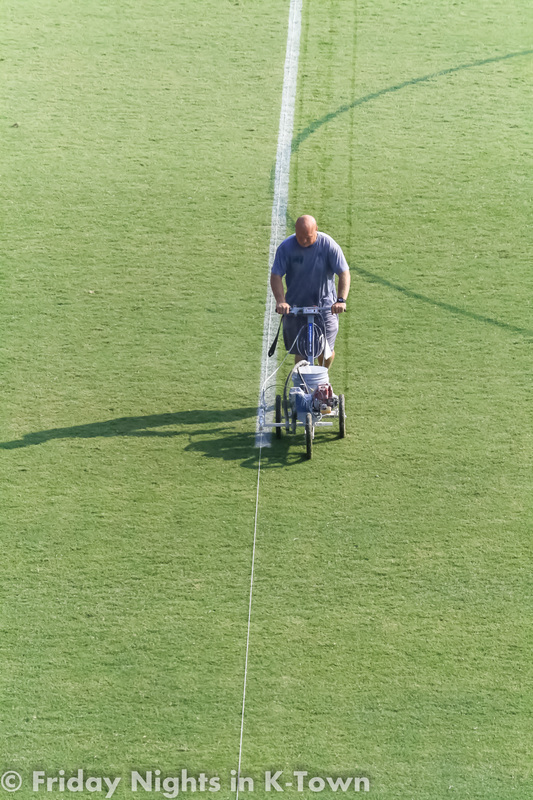 You've seen the time that is spent, and the dedication, and pride the coaches have in making your visit to Memorial Stadium a pleasant experience. 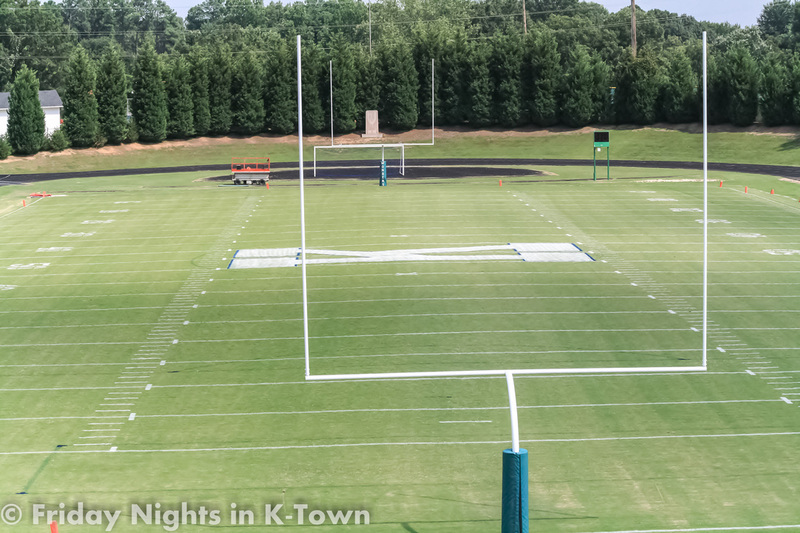 Where else could one imagine being on Friday night during the months of August through November? 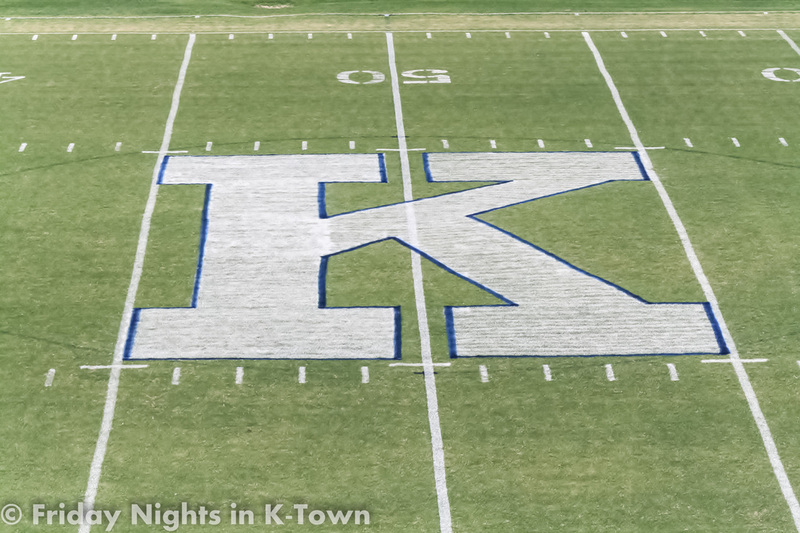 The roar of the crowd, the band, and cheerleaders not to mention the best you can hope to see in high school football giving you an exhibition on one of the most visually striking stages anywhere in the state. 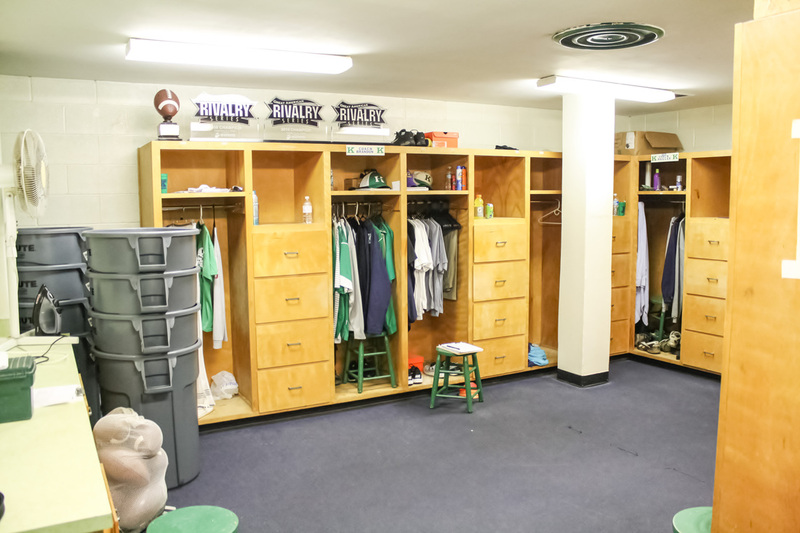 No doubt there will be more upgrades to the facility as the years press on which will only add to the facilities already pristine look. 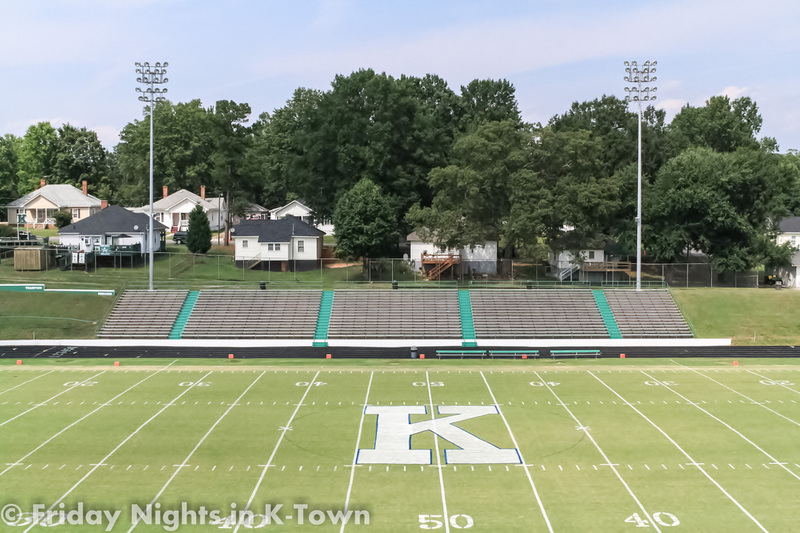 Kannapolis Memorial Stadium is definitely one of the most hospitable locations you can attend to watch high school football, but one of the most menacing if you are an opposing team playing here. With winter 2012 in full swing the lush green grass of Memorial Stadium has long disappeared and the big block "K" that festoons midfield has begun to fade with daily weathering. 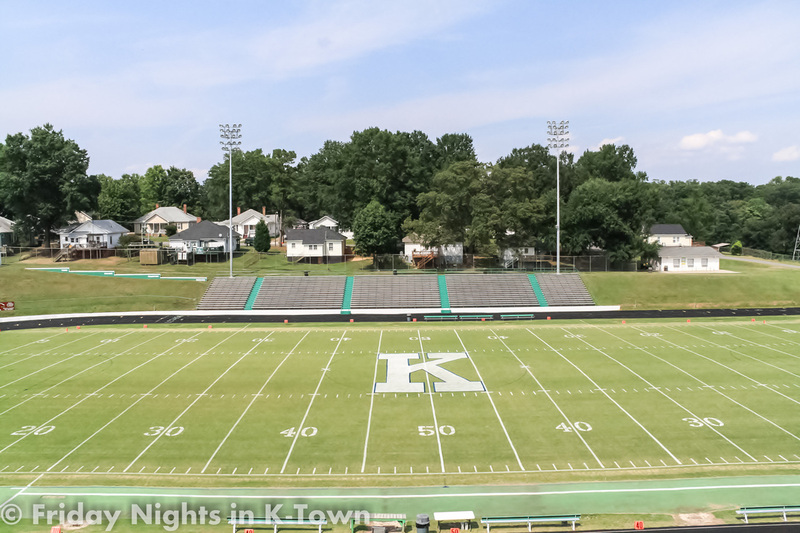 As the change in climate began in mid October of 2011 the grass of Memorial Stadium began to turn a lovely shade of brown as fall in Kannapolis fell, and football continued. 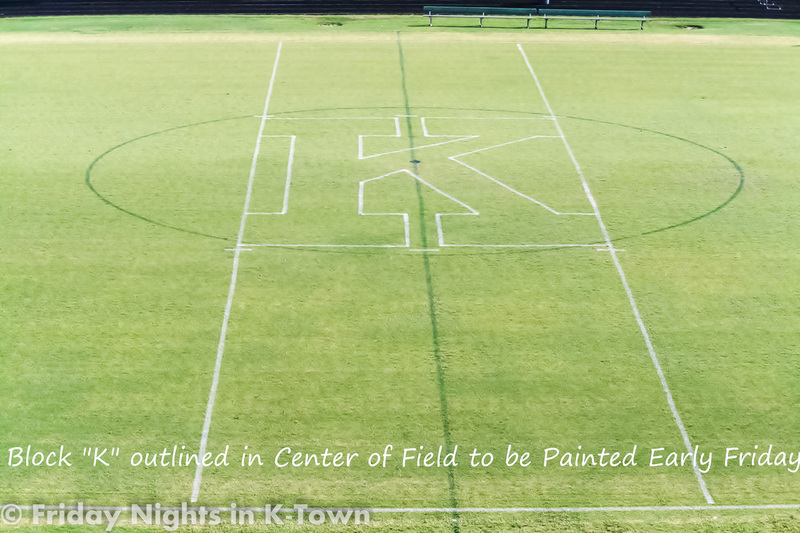 By early November the field had completed it's transformation to yellow just in time for the first round of playoffs. 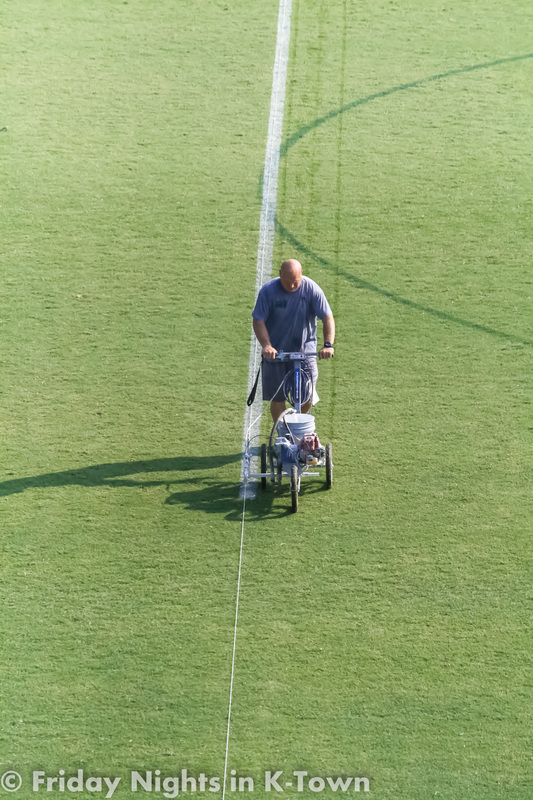 So goes the natural evolution of the field at Memorial Stadium during the fall football season. 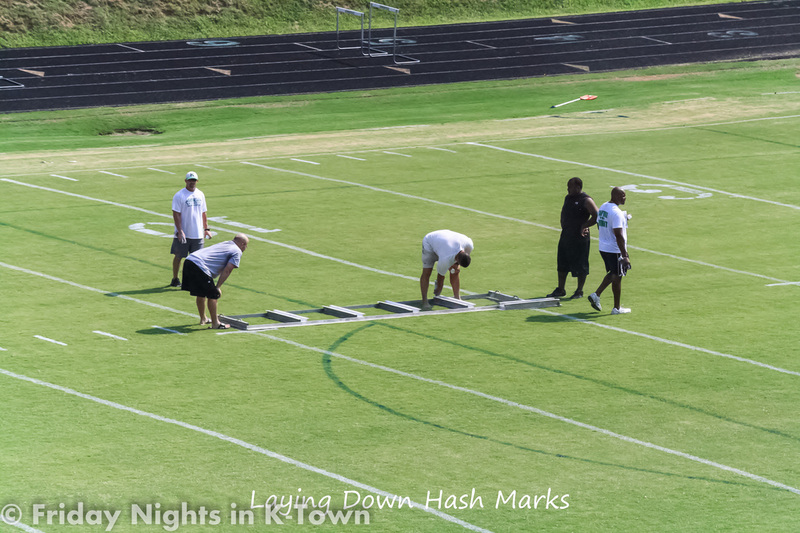 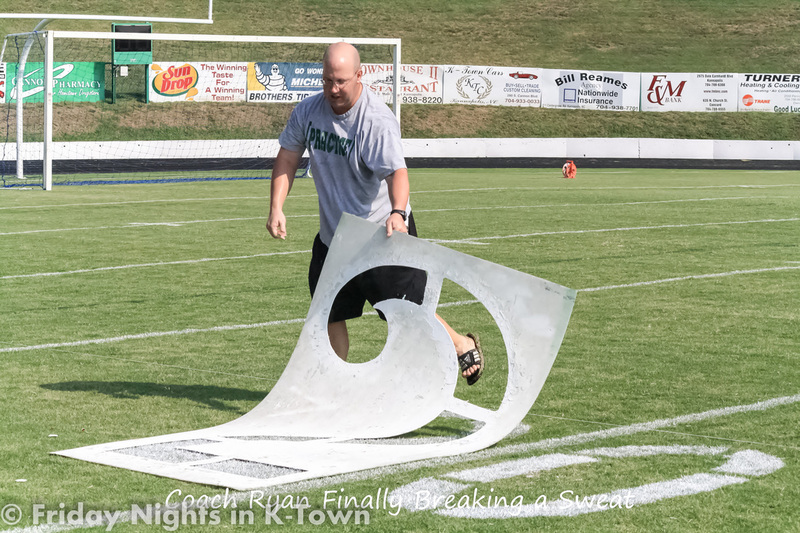 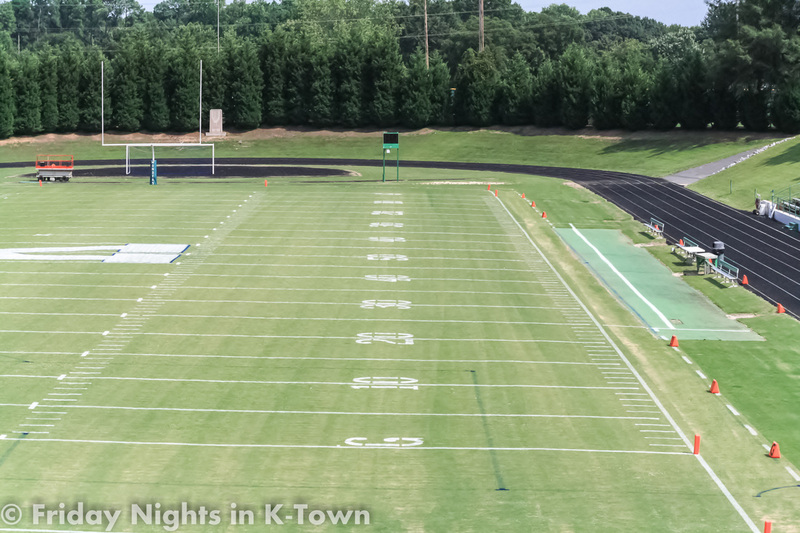 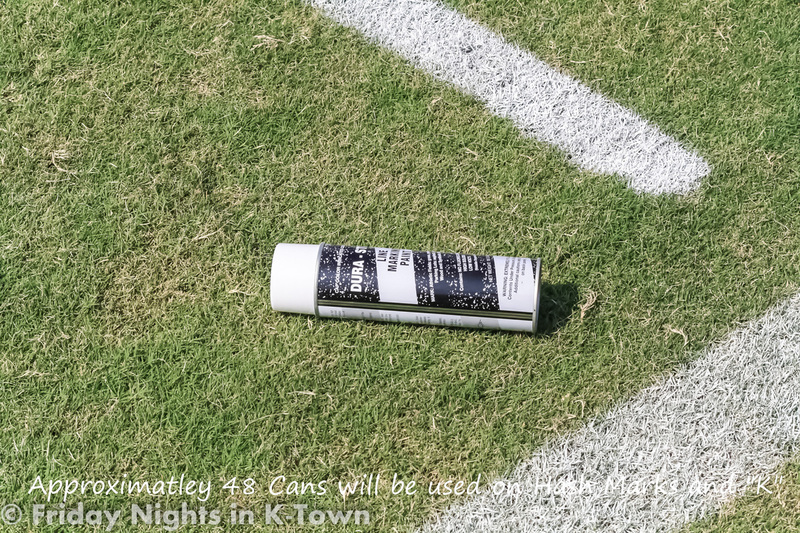 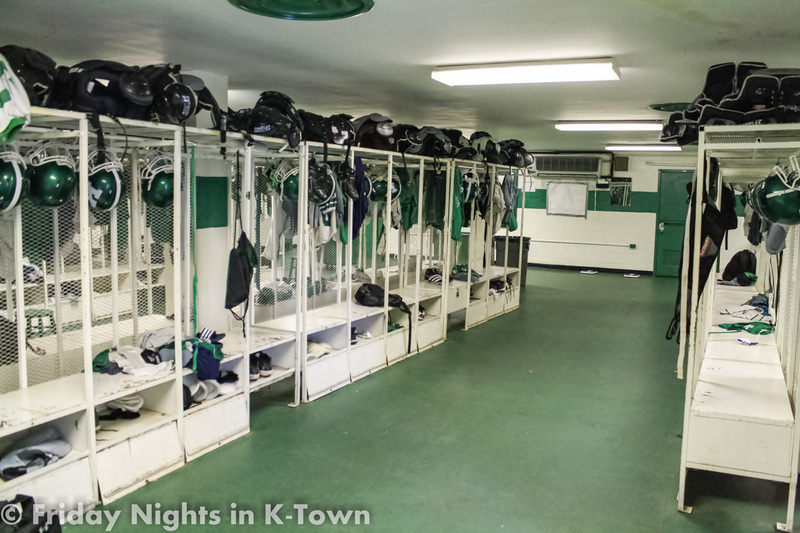 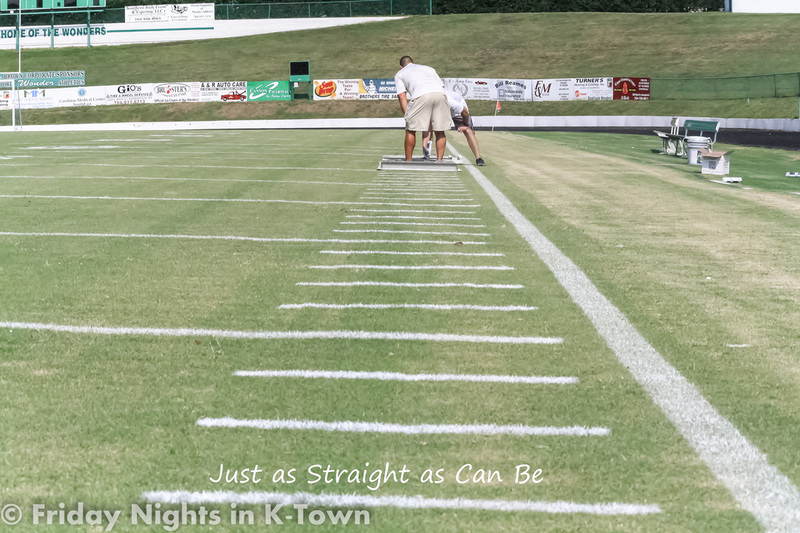 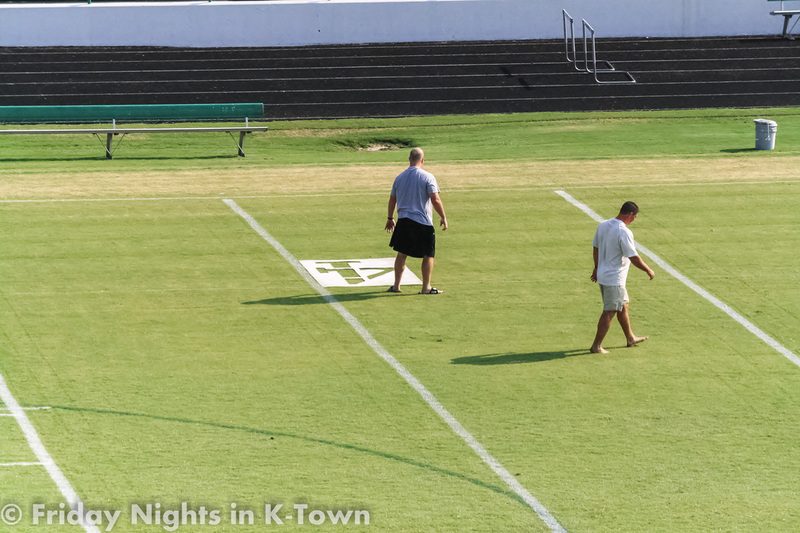 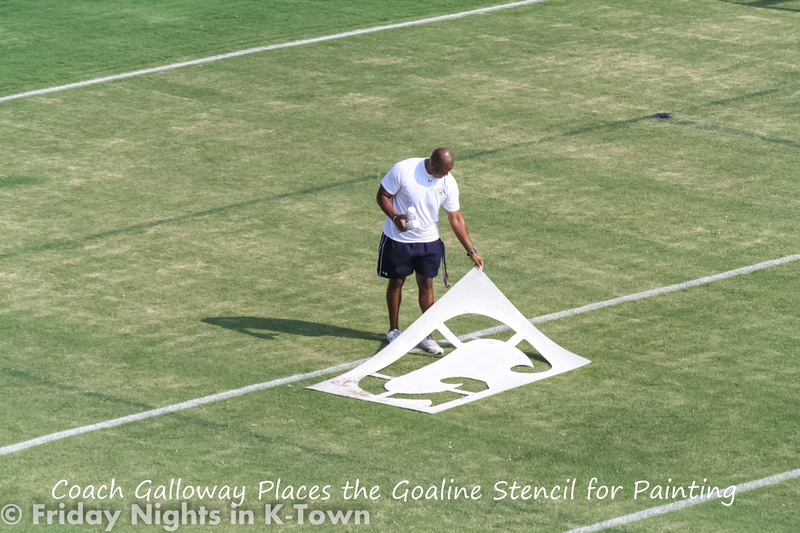 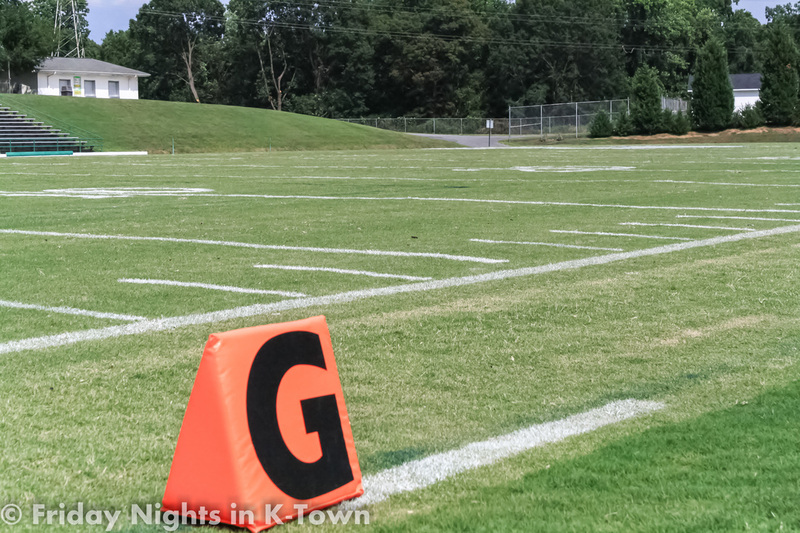 While gathering information in early 2011 for this section of Friday Nights in K-Town I was speaking with members of the grounds crew about preparation, and upkeep of the playing field. 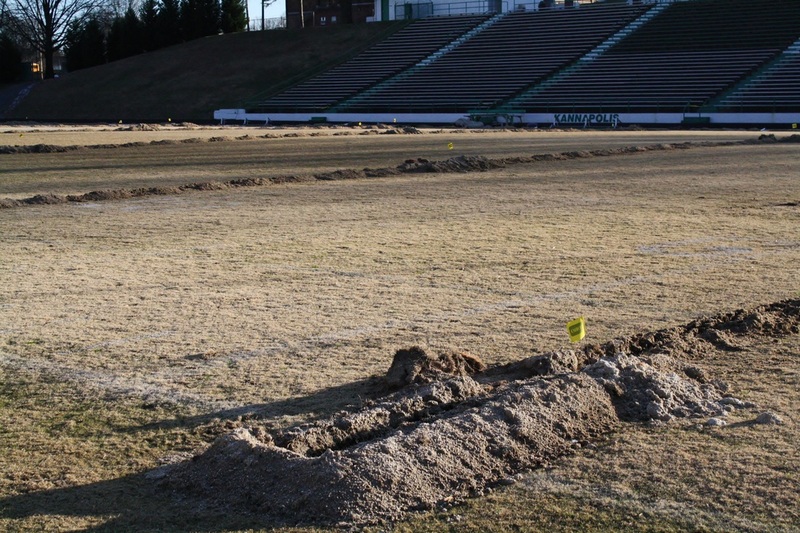 I was told the facility has been experiencing technical issues with the current irrigation system for some time now, and those issues were directly affecting the look and consistency of the playing field. 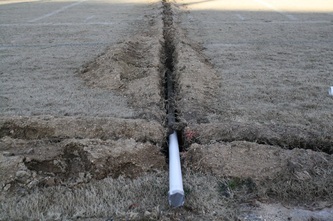 Drainage was another big issue as the west end of the field from the fifteen yard line to the rear of the west endzone had the tendency to remain soggy after continuous rain fall. 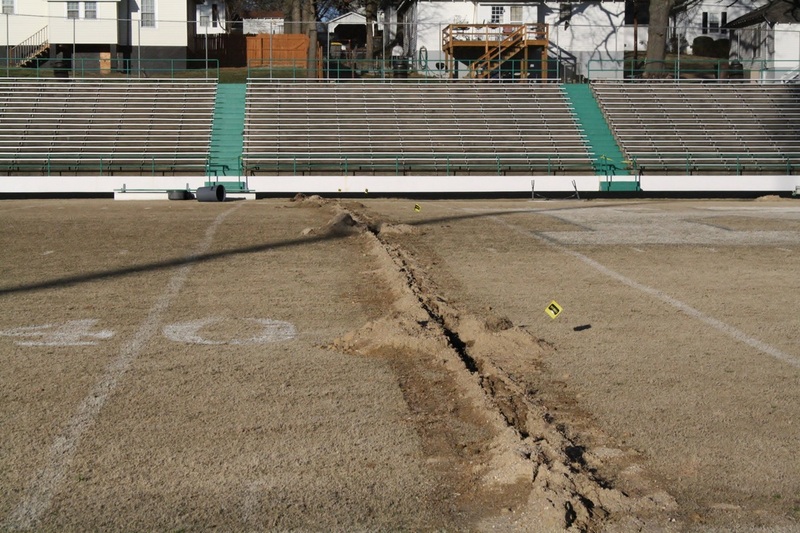 One would have only had to walk on that end of the field after the Central Cabarrus game this past year to realize the severity of that problem. 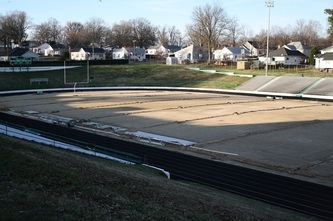 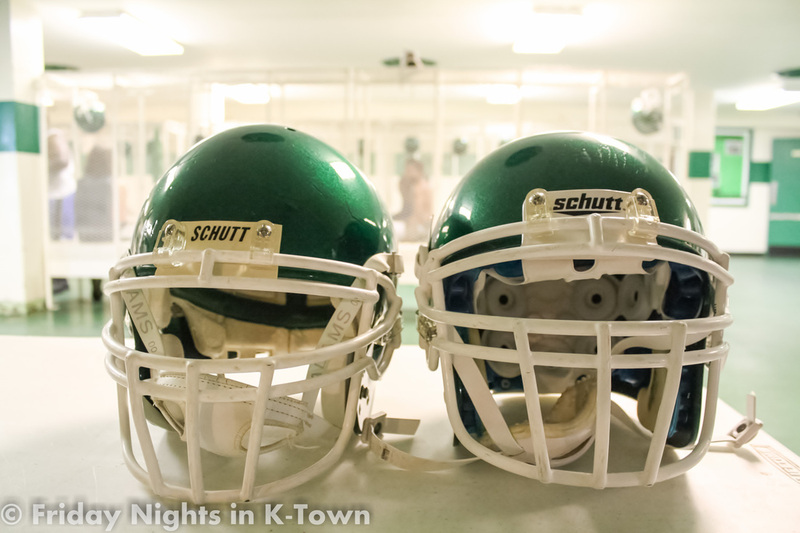 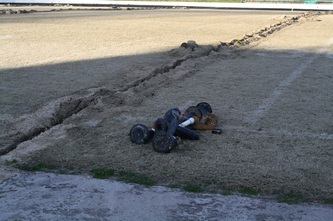 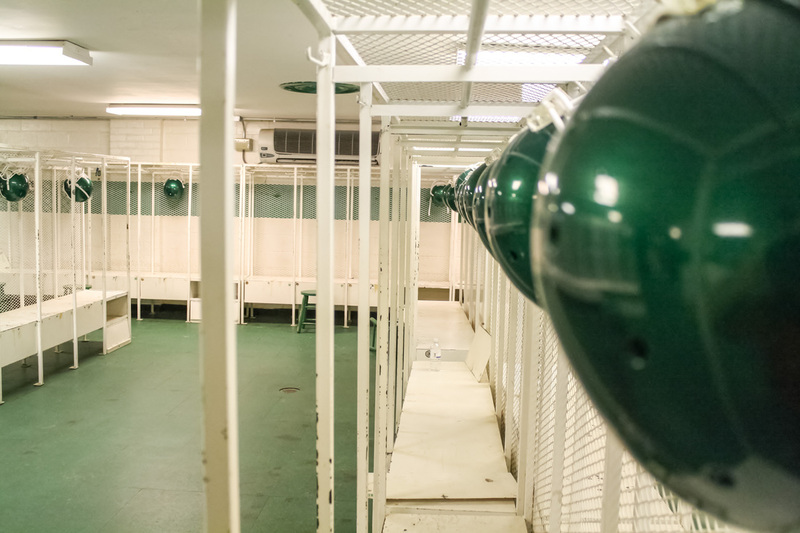 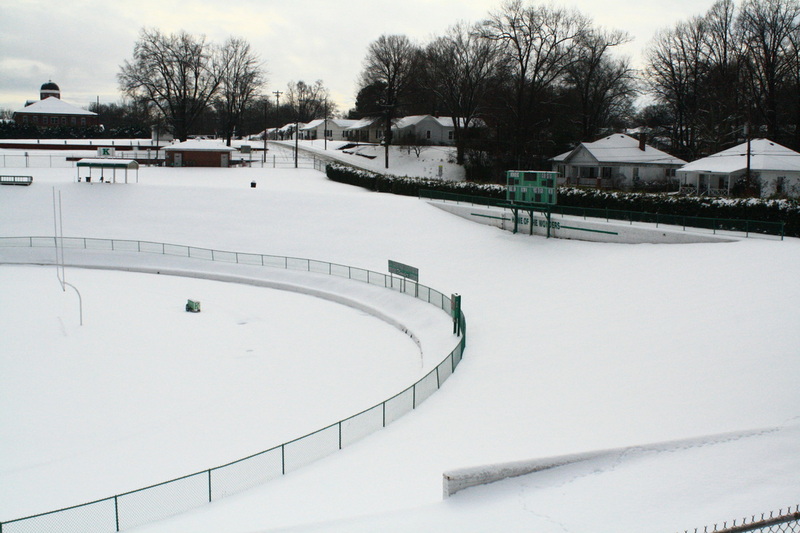 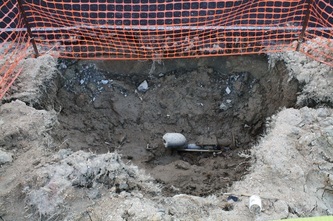 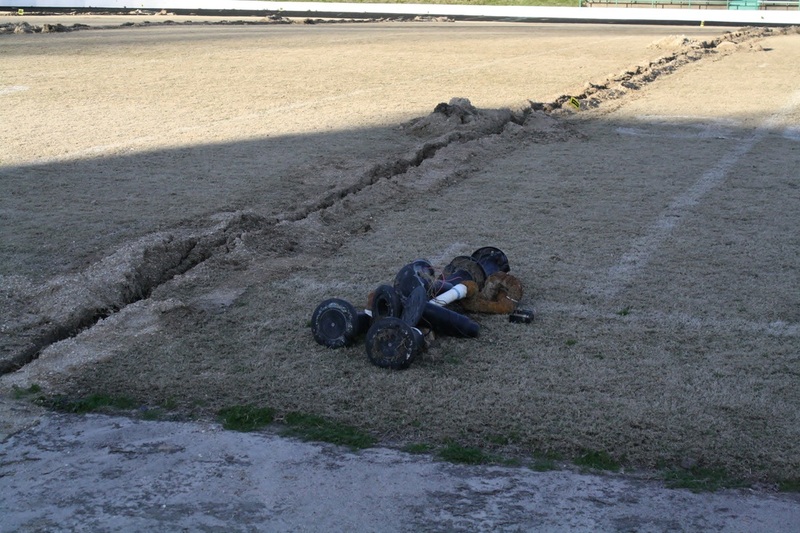 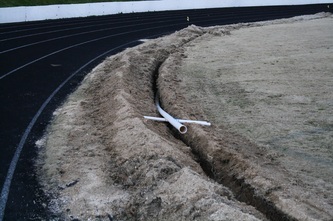 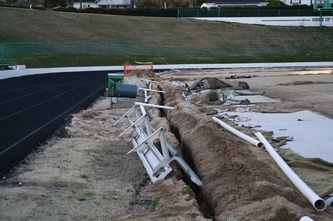 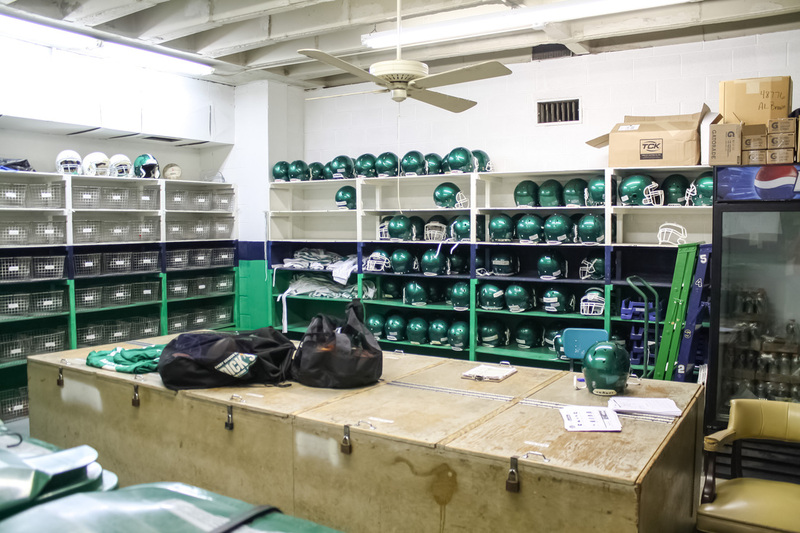 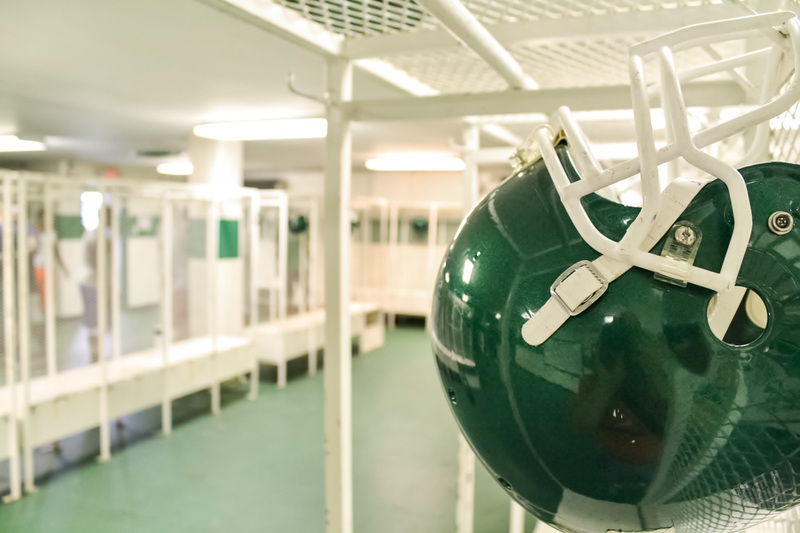 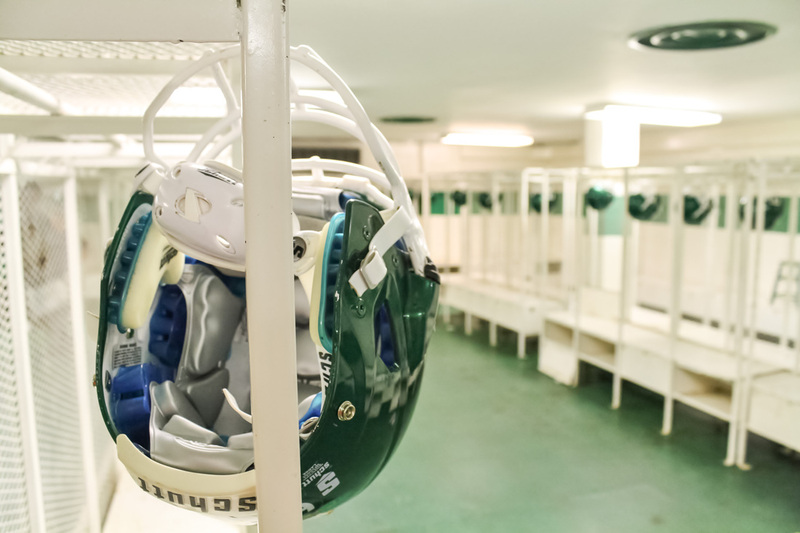 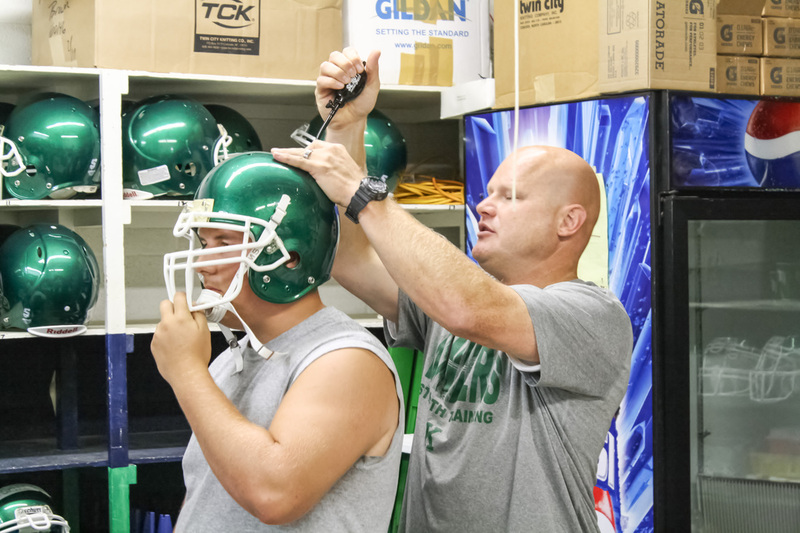 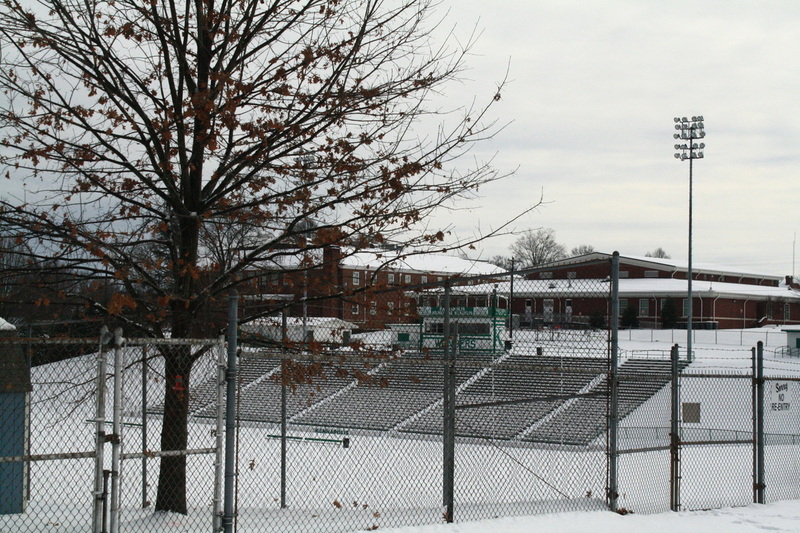 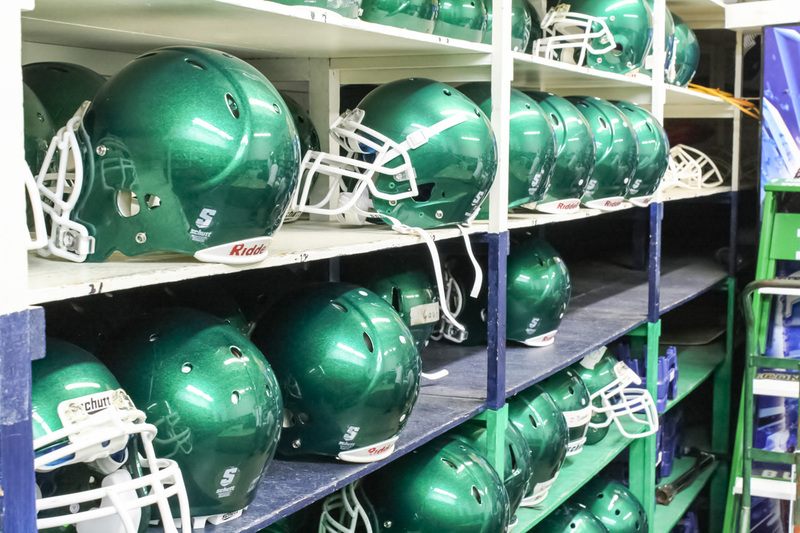 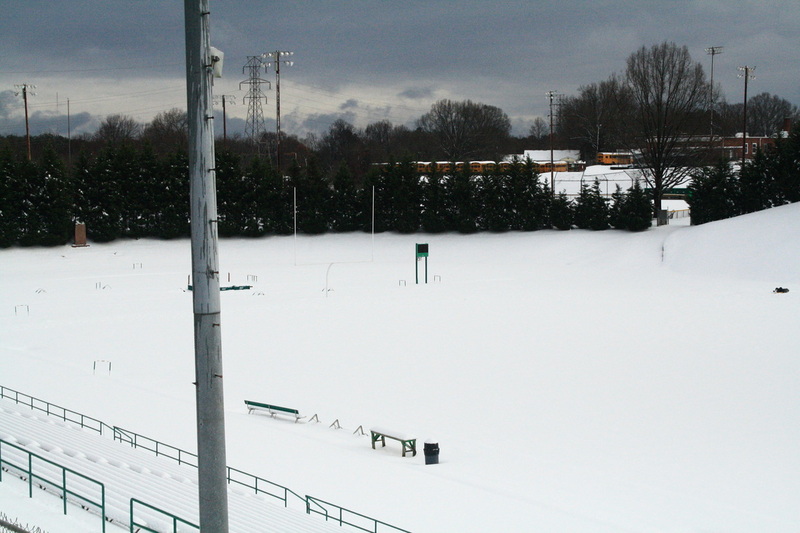 Repairs were inevitably needed, and in December of 2011 the athletic department of A.L. 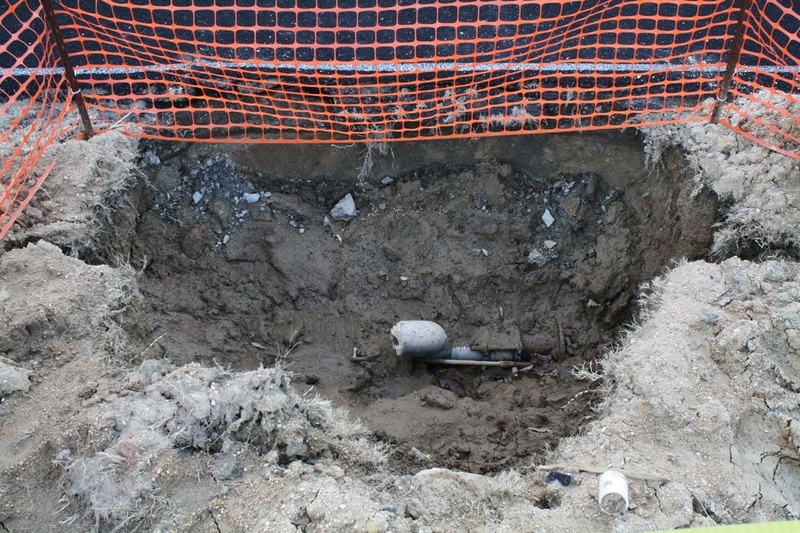 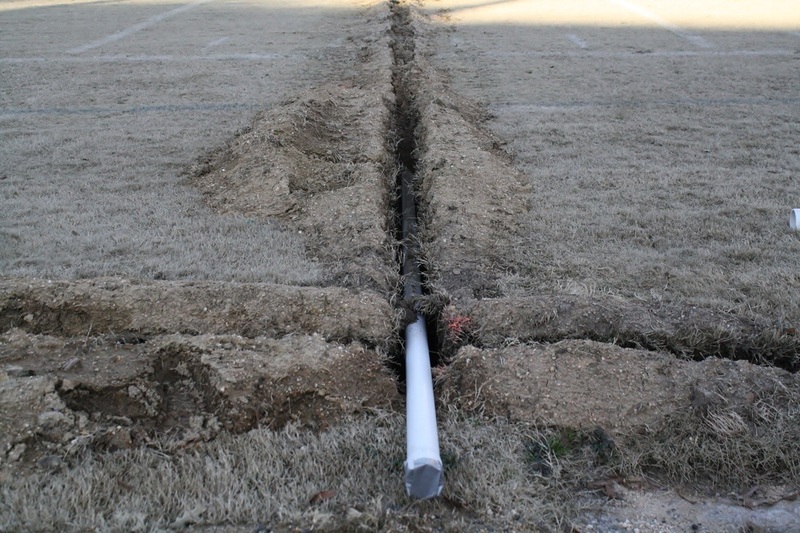 Brown High School began the tedius task of trenching, and removal of the old antiquated sprinkler system that supplied water to the field for so many years. 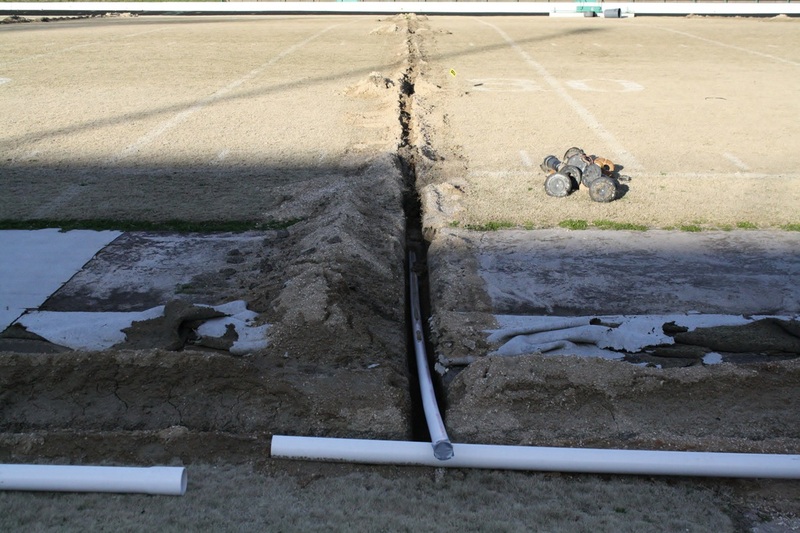 The task requires the placement of nearly a thousand feet of PVC to make way for a new fully automated state of the art eight head sprinkler system. 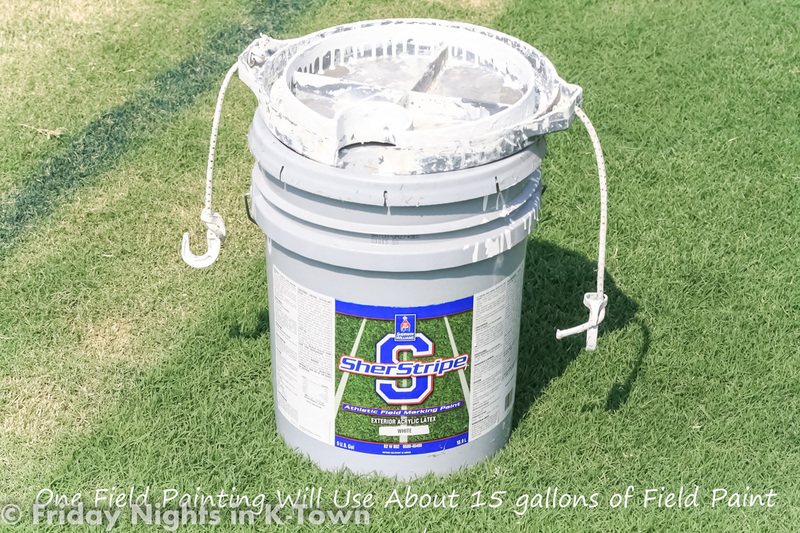 The new system will have a multi effect capability offering a wide variety of water delivery options for the playing field. 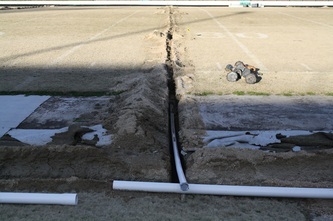 According to sources to FIK, work on the new irrigation system is expected to be completed by March of 2012. 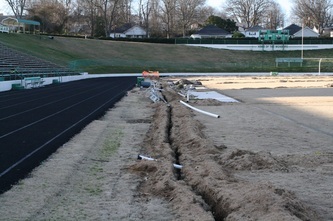 This being just one of the many field and facility upgrades the Kannapolis Boosters Club and Athletic Department of A.L. 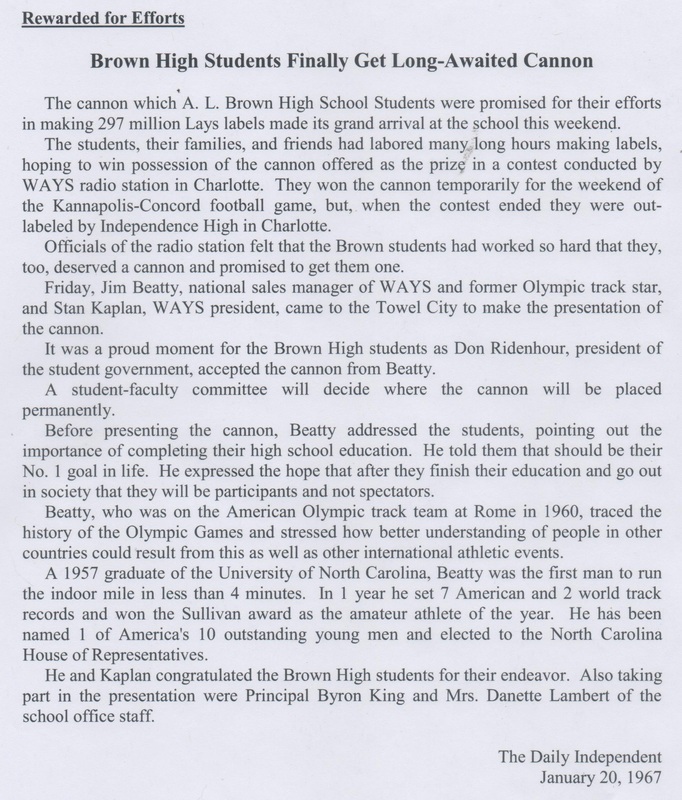 Brown High School have in the works. 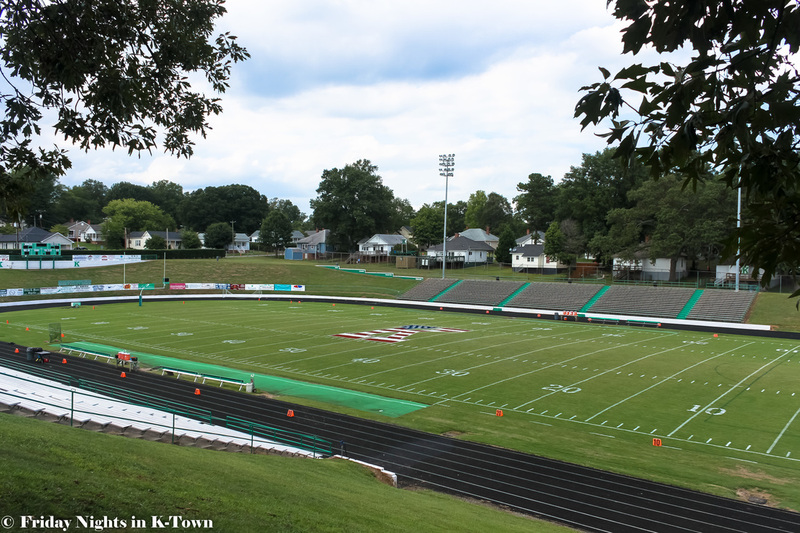 A three phase plan that will dramatically alter the look of what we all know as "Our House"